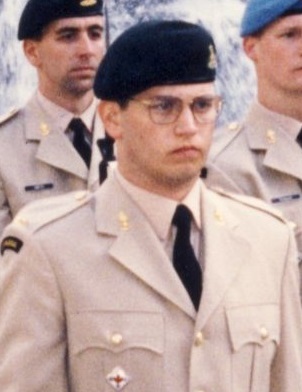 Wackerhagen, William Achim; Taken on strength as a Gunner in 15th Field Artillery Regiment RCA on 14 May 1996, qualified QL2 General Military Training on 16 Nov 1996, released on 5 Dec 1996. ​Wadden, WAJ; Achieved rank of Warrant Officer Class II, Reverted in rank to Sergeant on unit reorganization, Sergeant in 1969. ​Waddington, Brian Stewart; Taken on strength as a Gunner in 15th Field Artillery Regiment RCA on 31 May 1979, qualified General Military Training on 2 Sep 1979, qualified TQ1 Artillery on 5 Apr 1980, released on 30 Oct 1980. Waddington, Gordon Michael; Taken on strength as a Gunner in 15th Field Artillery Regiment RCA on 3 Jul 1978, qualified General Military Training on 27 Aug 1978, qualified TQ1 Artillery on 5 Apr 1980, promoted Bombardier on 5 Apr 1980, qualified TQ2 Basic Artillery Technician on 11 Aug 1980, qualified TQ2 Artillery Communicator on 22 Aug 1980, qualified Driver Non-Trade on 18 dec 1980, released 30 Sep 1983. Waddy, Robert Vincent; Enlisted with 85th Heavy Battery 15th (Vancouver) Coast Brigade RCA on 3 September 1939, promoted Lance Sergeant, reverted to Gunner on transfer to 16th Light Anti-Aircraft Battery RCA, transferred to Combined Operations Organization, landed on Blue Beach Dieppe with members of the Royal Regiment of Canada, taken Prisoner of War, liberated by Americans on 17 April 1945; taken on strength with 15th Coast Regiment RCA on 9 Oct 1947, appointed Lance Bombardier on 1 Jan 1948, Struck off strength on 17 Feb 1949, Acting Bombardier in 1948, deceased 1 July 2004 in Duncan BC. Wade, WA; Taken on strength 15th Field Regiment RCA as Second Lieutenant from Supplementary Reserve (RCA) on 1 Dec 1954. 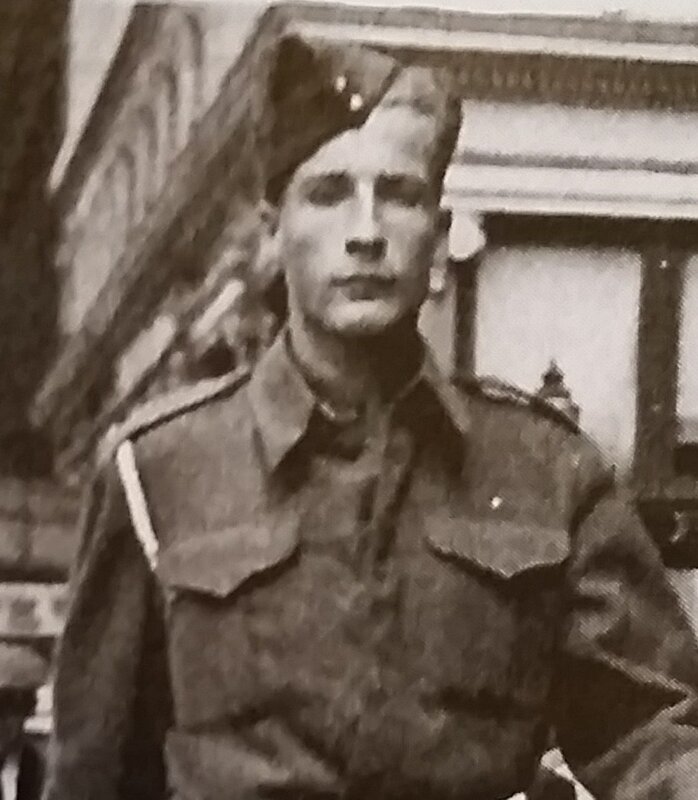 Walach, Leon Stanley; Taken on strength as a Gunner with 58th Battery 15th (Vancouver) Coast Regiment RCA NPAM on 7 Aug 1940, assigned regimental number V1009, assigned new regimental number K416611. Walcott, David Brace; Taken on strength 15 Field Regiment RCA and to be Provisional Captain and Medical Officer on 1 Dec 1950, relinquished appointment of Medical Officer on 1 Jun 1955, relinquished Acting Rank of Captain on 1 Jun 1955, struck off strenght on transfer to Supplementary Reserve (RCAMC). Waldie, Robert Jackson; Taken on strength as a Lieutenant in 15th Field Regiment RCA from the Supplementary Reserve of Officers on 23 Sep 1948, to be Captain on 13 Jan 1949, to be Major on 30 Jun 1950, struck off strength on transfer to Supplementary Reserve RCA on 30 Sep 1950. ​Waldman, Scott Matthew; Taken on strength as Gunner in 15th Field Artillery Regiment RCA on 2 Apr 1987, qualified General Military Training on 13 Jun 1987, qualified TQ2 Artillery Communications on 30 Dec 1987, qualified TQ1 Artillery on 11 Feb 1988, qualified Forward Observation Post Technician on 4 Apr 1988, qualified Driver Non-Trade on 16 Feb 1989, promoted Bombardier on 2 Apr 1989, qualified Combat Leaders Course / Junior Leaders Course on 11 Aug 1989, promoted Master Bombardier on 20 Apr 1991, qualified Officer Cadet Training on 22 Aug 1984, qualified Basic Officer Training I & II on 22 Aug 1994, qualified Second Lieutenant on 22 Aug 1994, released on 8 Mar 1997. Walkem, R; Captain in 58th Heavy Battery in 1939, Lieutenant-Colonel and Commanding Officer 43rd Heavy Anti-Aircraft Regiment RCA from 1946 to 1949. 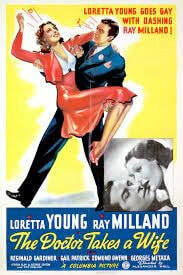 Walker; Sergeant in 15th Field Brigade, RCA in 1937. Walker, Brian David; Taken on strength 15th Field Artillery Regiment RCA on 18 Mar 1976, released on 16 Jun 1976. Walker, David John; Taken on strength 15th Field Regiment RCA on 18 Sep 1958. 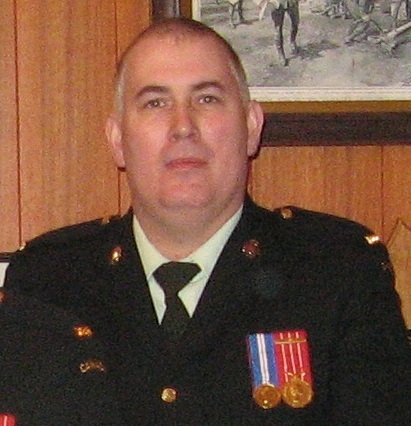 ​Walker, Kevin E; Corporal in 1984, Master Corporal from 1985 to 1990, Sergeant from 1999 to 2000, Warrant Officer from 2002 to 2004, Master Warrant Officer in 2005, Promoted Chief Warrant Officer and appointed Regimental Sergeant Major in 2009. Commissioned from the ranks to Captain in 2013. 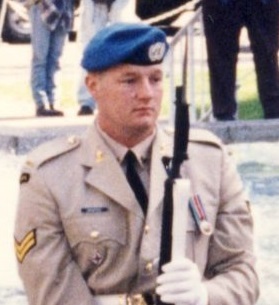 Walker, Lloyd Stanley; Taken on strength as a Sergeant in 15th Field Artillery Regiment RCA with previous service on 24 Mar 1993, released on 24 Jun 1995. Walker, Pauline Margaret; Taken on strength from No. 111 Manning Depot (Reserve Force) to 15th Field Regiment RCA on 21 Oct 1952. 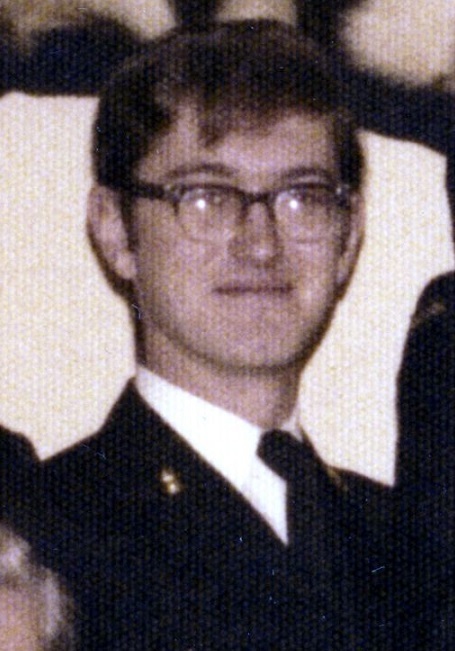 Walker, SD; Private in the band in 1969. Wallace, Arlena Lynn; Taken on strength as an Administrative Clerk in 6 Field Engineer Squadron on 2 Nov 1989, qualified QL2 General Military Training on 11 Mar 1990, qualified QL3 Administrative Clerk on 15 Apr 1990, qualified QL3 Administrative Clerk on 28 Mar 1992, transferred to 15th Field Artillery Regiment RCA on 1 Oct 1994. Wallace, Harold Holtorf; Taken on strength 45th Regiment for 5 years, taken on strength 13th Artillery Brigade 6 Oct 1915, appointed Adjutant 22 June 1916, taken on strength C Battery Royal Canadian Horse Artillery 1 Jul 1916, left Canada 15 Jul 1916, taken on strength Reserve Brigade 25 Jul 1916, taken on strength 2nd Divisional Ammunition Column 15 Sep 1916, posted to 7th Artillery Brigade 21 Sep 1916, attached to School of Artillery 4 Dec 1916, rejoined unit 24 Dec 1916, attached to 2nd Divisional Gas School 11 Feb 1917, rejoined unit 17 Feb 1917, taken on strength 6th Brigade on reorganization of establishment 19 Mar 1917, Granted 10 days leave England 3 Jun 1917, returned from leave 23 Jun 1917, on command to 2nd Canadian Divisional Artillery Headquarters 29 Aug 1917, to be Gas Officer 2nd Division 6 Jan 1918, transferred to Gas Service (Canadian Corps) 27 Feb 1918, hospitalized 17 Mar 1918, taken on strength Canadian Artillery Reinforcement Depot 24 Mar 1918, granted leave 3 to 22 Jun 1918, taken on strength Reserve Brigade 25 Jun 1918, taken on strength Canadian School of Gunnery 2 Jul 1918, transfers to CEF in Canada on cessation of hostilities 15 Dec 1918, discharged 30 Sep 1919, Lieutenant in 85th Battery 15th Field Brigade CA from 1925 to 1927, Captain in the Ammunition Column 15th Field Brigade CA in 1928, Major in the Corps Reserve of Officers in 1939, taken on strength 31st Battery 15th (Vancouver) Coast Brigade RCA NPAM on 3 Aug 1940, appointed Battery Commander 3 Aug 1940, 15th (Vancouver) Reserve Coast Brigade in 1941, appointed Second in Command in 1941, deceased 1 May 1974. 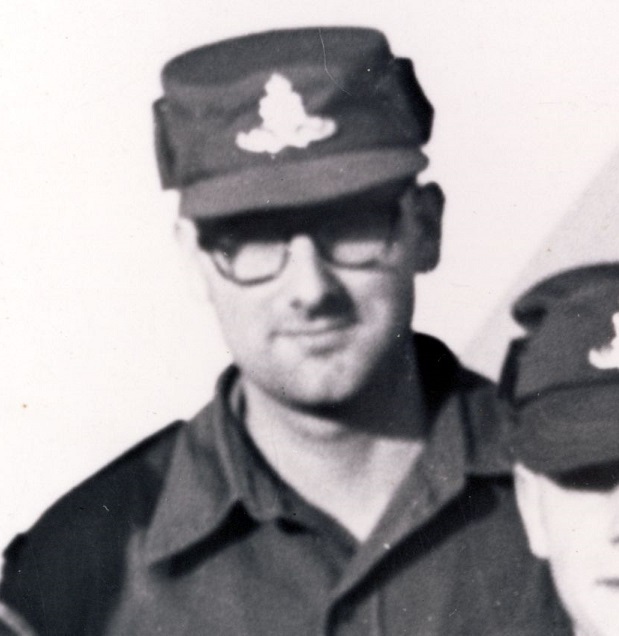 Wallace, JH; Taken on strength 15th Field Regiment RCA as Second Lieutenant from UBC Contingent COTC on 1 Oct 1957, struck off strength on transfer to Supplementary Reserve (RCA) on 25 Sep 1958. Wallis, Glen Peter; Taken on strength as a Gunner in 15th Field Artillery Regiment RCA on 24 Apr 1980, qualified General Military Training on 27 Sep 1980, qualified TQ1 Artillery on 26 Feb 1981, released on 30 Jun 1981. Walls, Douglas Gardiner; Taken on strength as a Gunner with 85th Battery 15th (Vancouver) Coast Regiment RCA NPAM on 2 Aug 1940, assigned regimental number V10447, assigned new regimental number K417564. 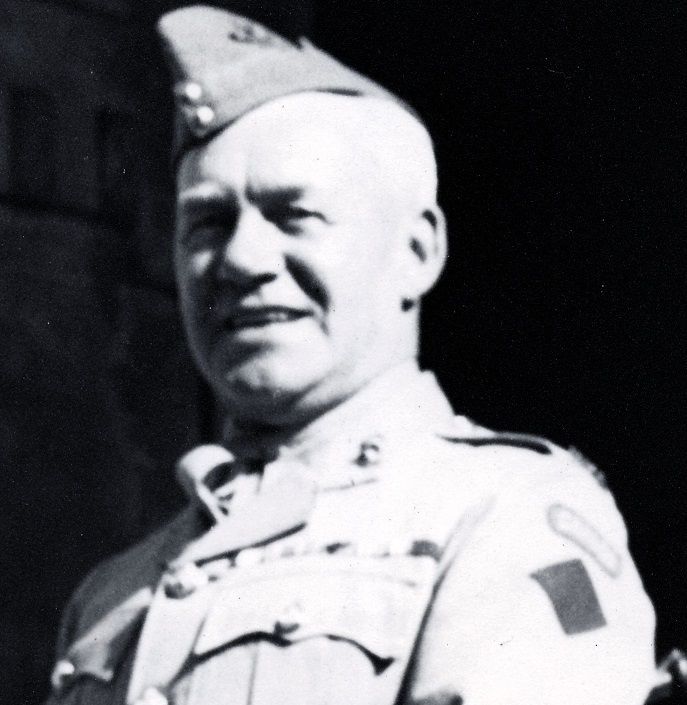 Walsh, Charles William; Taken on strength on transfer from Canadian Officers Training Corps UBC Contingent as Second Lieutenant 15th Field Regiment RCA on 2 Oct 1951, struck off strength on transfer to Supplementary Reserve on 1 Feb 1955. Walters, David Joseph; Taken on strength in 15 Field Regiment RCA on 30 Mar 1950, appointed Lance Bombardier on 14 Dec 1950, appointed Acting Bombardier on 21 Jun 1951, qualified as Trumpeter Group 1 on 8 Apr 1952, appointed Bombardier on 10 Apr 1952, appointed Acting Sergeant on 10 Apr 1952, struck off strength on enrolment in Canadian Army (Active Force), taken on strength as Officer Cadet on 23 Apr 1953, struck off strength on release on 21 May 1956. 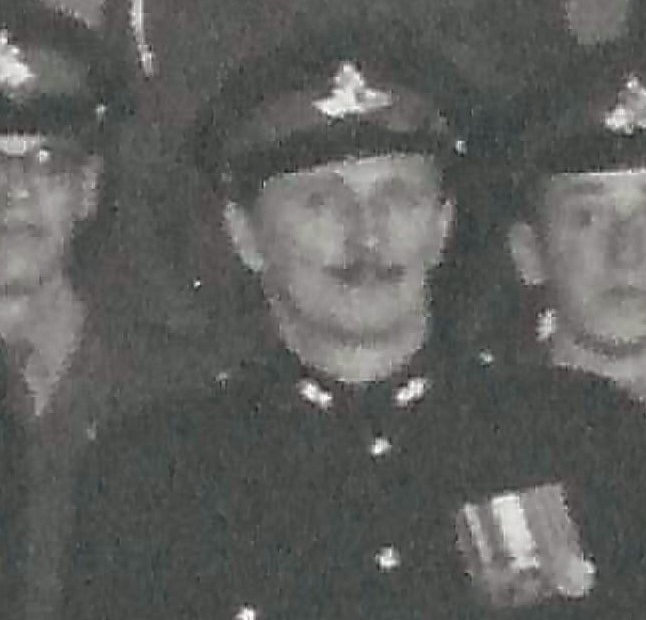 Walters, David Lewellyn; Taken on strength 15 Field Regiment RCA on 6 May 1954, struck off strength on release on 17 Mar 1955. Walters, Henry; Taken on strength in 15 Field Regiment RCA on 27 Apr 1950, appointed Lance Bombardier on 21 Feb 1952, appointed Acting Bombardier on 27 May 1953, struck off strength on release on 1 May 1958. Walters, Henry; Taken on strength as a Gunner with 85th Battery 15th (Vancouver) Coast Regiment RCA NPAM on 2 Aug 1940, assigned regimental number V10448, to be Acting Sergeant 15 Sep 1940, assigned new regimental number K417504, appointed Acting Battery Quarter Master Sergeant 1 Oct 1940. ​Walton, Clive Stewart; Taken on strength as a Musician in 15th Field Artillery Regiment RCA on 26 May 1970, qualified General Military Training on 21 Apr 1971, qualified Musician R871 C on 5 Sep 1972, qualified Musician R871 D1 on 24 Apr 1975, promoted Bombardier on 1 May 1975, qualified Sergeant on 19 May 1976, promoted Sergeant on 1 Jun 1976, promoted Warrant Officer on 1 Mar 1982, released 24 Oct 1995. ​Wambolt, Terry Christopher; Taken on strength 15th Field Artillery Regiment RCA on 16 Apr 1976, released on 27 Jul 1976. Wanamaker, TL; Taken on strength 15th (Vancouver) Coast Brigade RCA, assigned regimental number V9215, attended Nanaimo Camp 1 Sep 1940, assigned new regimental number K415020, posted to 85th Heavy Battery 11 Oct 1940, posted to 31st Battery 19 Nov 1940. Wang, Te-Kai (Ted); Taken on strength as an RMS Clerk in 15th Field Artillery Regiment RCA on 22 Mar 2001, qualified QL2 General Military Training on 10 Aug 2001, qualified LFC Driver Wheeled on 26 Jan 2001, released on 24 Sep 2002. 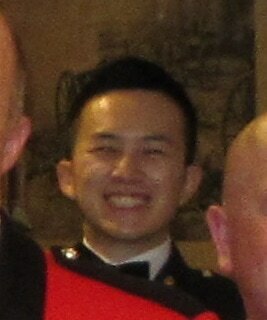 Wang, Tian Ci; Taken on strength as a Gunner in 15th Field Artillery Regiment RCA, Bombardier from 2014 to 2017. Wanstall, Harold Lloyd; Taken on strength as a Gunner with 85th Battery 15th (Vancouver) Coast Regiment RCA NPAM on 9 Aug 1940, assigned regimental number V10474, assigned new regimental number K417565. Ward, Allan; Taken on strength with 158 Battery 15th Coast Regiment RCA on 30 Oct 1947, appointed Lance Bombardier on 15 Jan 1951, appointed Acting Bombardier on 21 Jun 1951, appointed Bombardier on 10 Apr 1952, appointed Acting Sergeant on 10 Apr 1952, promoted substantive Sergeant on 1 Nov 1954, promoted Acting Warrant Officer Class II on 1 Sep 1955, promoted substantive Warrant Officer Class II on 1 Sep 1958. Ward, William John; Taken on strength 31 Battery 15th (Vancouver) Coast Brigade RCA NPAM 6 Aug 1940, assigned regimental number V9497, assigned new regimental number K415597. Wardhaugh, Bruce Irvine; Taken on strength 15th Field Regiment RCA on 6 Jan 1955, struck off strength on release on 1 Nov 1955. ​Wardley, David John; Taken on strength 15th Field Artillery Regiment RCA on 3 Jul 1978, released on 27 Aug 1978. Wareham, Corrina Moelle; Taken on strength as a Finance Clerk in 35 Service Battalion on 13 Jan 1994, qualified QL2 General Military Training on 14 May 1994, qualified QL3 Finance on 4 Aug 1994, qualified QL4 Finance on 14 Jul 1995, transferred to 15th Field Artillery Regiment RCA on 1 Sep 1995, awarded Most Efficient Corporal of the Year 1995, promoted Corporal on 13 Jan 1996, transferred to Supplementary Ready Reserve on 1 Jun 1997. ​Warner, David Shaw; Taken on strength as a Gunner in 15th Field Artillery Regiment RCA on 7 Jul 1980, qualified QL2 General Military Training on 27 Sep 1980, qualified TQ1 Artilleryman on 26 Feb 1981, promoted Bombardier on 7 Jul 1981, qualified TQ2 Artillery Basic Communications on 14 Aug 1981, qualified Driver Non-Trade on 20 Feb 1982, qualified Junior NCO on 2 Jul 1982, qualified TQ2 Artillery driver Wheeled on 17 Oct 1982, promoted Master Bombardier on 7 Jul 1983, qualified Senior NCO Course on 15 Jul 1983, qualified TQ3 Artilleryman on 30 Jul 1983, promoted Sergeant on 7 Jul 1985, qualified TQ2 Artillery Technician on 11 Apr 1985, released 16 Apr 1987. Warner, Derek Martin; Taken on strength 31 Battery 15th (Vancouver) Coast Brigade RCA NPAM 6 Aug 1940, assigned regimental number V9498, assigned new regimental number K415598. Warren, SR; Bombardier in 85 Battery in 1969. Warrington, Robert Glen Marten; Taken on strength 15th Field Regiment RCA on enrolment on 15 Dec 1955, struck off strength on release on 1 Oct (Mar) 1956. Washington; Driver in "C" Sub Section 68 Battery Canadian Field Artillery North Russia Expeditionary Force in April 1919. Watalla, Darren; Taken on strength as a Gunner in 15th Field Artillery Regiment RCA on 18 Jun 1992, qualified QL2 General Military Training on 24 Jul 1992, qualified QL3 Artilleryman on 14 Aug 1992, released on 1 Nov 1992. Watkin, Joseph; Taken on strength 15 Field Regiment RCA on 30 Sep 1954, struck off strength on release on 6 Dec 1954. 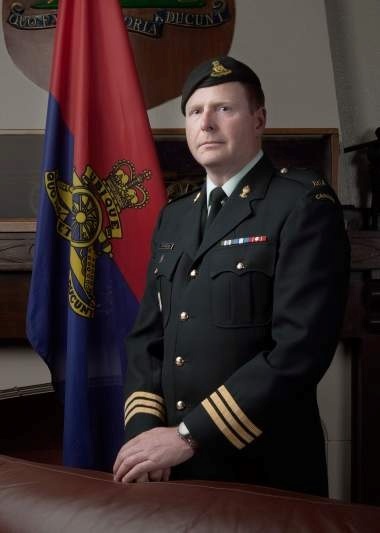 ​Watkins, Stephen A; Taken on strength 1st Regiment Royal Canadian Horse Artillery, released, taken on strength as a Captain in 15th Field Artillery Regiment RCA on 30 Sep 1994, qualified RESO Phase I, 2, 3 & 4, transferred to the Supplementary Holding Reserve on 3 Feb 2004. Watkinson, Leslie Kathryn; Taken on strength 15th Field Artillery Regiment RCA on 21 Jun 1979, released on 22 Jul 1979. 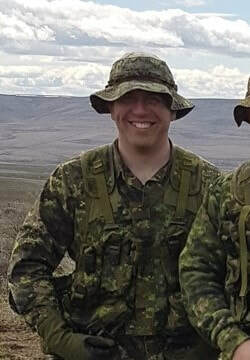 Watrich, Clinten Vince; Taken on strength as a Gunner in 15th Field Artillery Regiment RCA on 27 Jul 2001, qualified QL2 recruit on 11 Apr 2002, qualified DP1 Artillery on 21 Jul 2004, promoted Master Bombardier 25 Sep 2013. 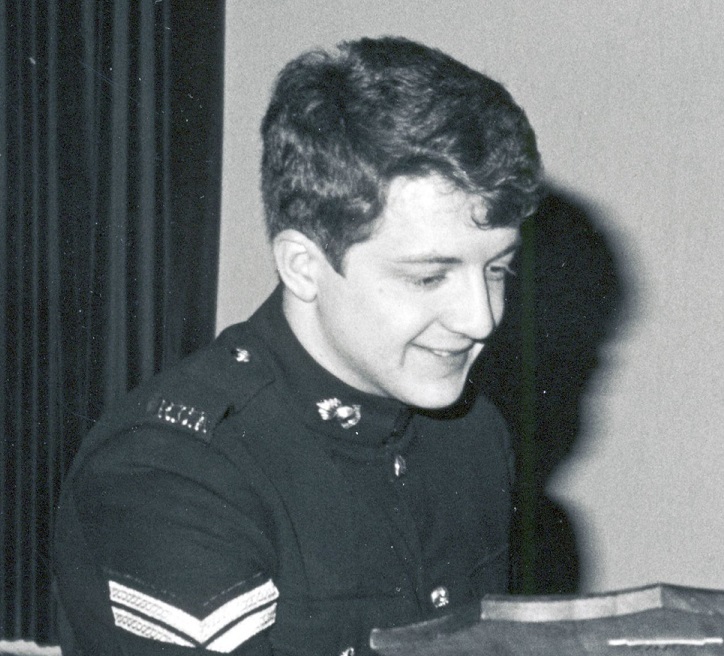 Watson, George Andrew; Attached from the Supplementary Reserve as a Sergeant Musician in 15th Field Artillery Regiment on 1 Apr 1969, released on 23 Jul 1982. Watson, Glendell Ryan; Taken on strength as an Officer Cadet in 15th Field Artillery Regiment RCA on 26 Mar 1981, qualified MITCP Block 1 & 2 on 1 Apr 1981, qualified MITCP Block 3 on 1 Apr 1981, qualified MITCP Block 4 on 17 Jul 1981, promoted Second Lieutenant on 1 Sep 1981, qualified MITCP Block 6 on 12 Aug 1983, promoted Lieutenant on 15 Sep 1983, transferred to 744 Communications Regiment on 20 Oct 1988. ​Watson, Gregory Ronald​; Taken on strength as a Gunner in 15th Field Artillery Regiment RCA on 2 Mar 1976, qualified General Military Training on 5 Jun 1976, released on 29 Aug 1976, enrolled as an Officer Cadet on 17 Jan 1978, released 22 May 1978. Watson, James Graham; Taken on strength 15th (Vancouver) Coast Brigade as a Gunner 20 Sep 1939, regimental number K25014, granted permission to marry 13 Oct 1939, to be Provisional Lance Bombardier 1 Nov 1939, married Charlotte 2 Dec 1939, to be Bombardier 26 May 1940, admitted to Shaughnessy Military Hospital 17 Sep 1940, discharged 23 Sep 1940, to be Acting Lance Sergeant without pay 22 Oct 1940, reverts to Bombardier at own request 5 Feb 1941, granted 14 days furlough with pay 5 Feb 1941, appointed Provisional Second Lieutenant 24 Feb 1941, On Command attached to Officer Training Course Western Canada Victoria 9 May 1941, promoted to Lieutenant 6 Sep 1941, granted 14 days leave with pay 2 Mar 1942, posted to 5th (BC) Coast Brigade RCA 24 Jun 1942, to be Captain 24 Jun 1942, admitted Shaugnessy Hospital - Tuberculosis - 9 Jul 1942, transferred to Tranquille Sanitorium 3 Aug 1942, cease posting 31 Aug 1942, discharged 31 Aug 1942, deceased 13 Nov 1942, buried Mountain View Cemetery Vancouver BC. Watson, James Morrison; Attested Canadian Overseas Expeditionary Force 24 Apr 1916, #324000, 55th Overseas Depot Battery, arrived England 22 Sep 1916, transferred 13th Brigade Canadian Field Artillery 22 Jan 1917, taken on strength 81st Battery 15th Brigade 15 Mar 1917, taken on strength 5th Brigade Canadian Field Artillery and proceeded overseas 20 Mar 1917, proceeded to 1st Army Rest Camp 9 Sep 1917, rejoined from rest camp 22 Sep 1917, gassed 1 Nov 1917, taken on strength Canadian Artillery Regiment Depot 22 Nov 1917, taken on strength Reserve Brigade 22 Mar 1918, taken on strength Composite Brigade 23 May 1918, taken on strength 68 Battery 16th Brigade Canadian Field Artillery Northern Russia Expeditionary Force, proceeded overseas to Northern Russia 20 Sep 1918, arrived Archangel Russia 1 Oct 1918, awarded St George's Medal, embarked for United Kingdom 11 Jun 1919, embarked for Canada 5 July 1919, discharged 15 Jul 1919, deceased 1945, interred Woodstock Presbyterian Cemetery Woodstock ON. Watson, Joseph Wilfred; Taken on strength 58th Battery 15th (Vancouver) Coast Brigade RCA 30 Aug 1940, assigned regimental number V100124, assigned new regimental number K416612, struck off strength not likely to become an efficient soldier 31 Oct 1940, taken on strength 15th Field Regiment RCA on enrolment with former service in Canadian Army (RF) on 14 Feb 1956, promoted Acting Bombardier on 1 Apr 1958. 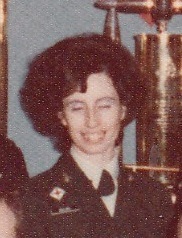 Watson, Judy Anne; Taken on strength as an Administrative Clerk in 15th Field Artillery Regiment RCA on 13 Oct 1983, released 4 Feb 1984. ​Watson, Robert James; Enlisted Royal Artillery in India 1907, mobilized with 75th Battery Royal Field Artillery, served Western Front from 15 Jan 1915, transferred to Salonica 30 Sep 1915, in command of 85th Brigade Small Arms A.C. until Armistice, transferred to the Army of the Black Sea in Constantinople, served in 130th Brigade Royal Field Artillery for nearly 2 years, resigned commission in May 1920, emigrated to British Columbia 1924, Battery Sergeant Major 85th Howitzer Battery Canadian Field Artillery 1930, Warrant Officer Class II from 1931 to 1937, promoted Warrant Officer Class I and appointed Regimental Sergeant Major 15th (Vancouver) Coast Brigade, RCA on 1 Oct 1939, deceased 6 May 1946 due to carcinoma of pancreas, buried Mountainview Cemetery. 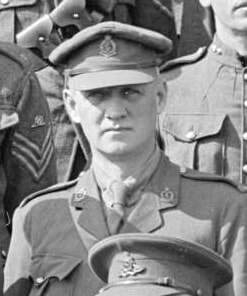 Watson-Mathews, JM​; Lieutenant in 5th Siege Battery 15th Brigade Canadian Field Artillery from 1923 to 1927. Watt, DE; Listed as Sergeant on Warrant Officers' and Sergeants' Mess Gong. Watt, Ian C; Major in 2014. Watt, John Archibald; Taken on strength in 15th Field Regiment RCA on 16 Apr 1953, struck off strength on 3 Dec 1953. Watters, George; Attested 10 May 1917, regimental #340248 in 69th Overseas Battery, embarked Halifax 19 Feb 1919, disembarked Glasgow 25 Feb 1919, taken on strength Reserve Brigade Canadian Field Artillery 26 Feb 1919, taken on strength 68th Battery 16th Brigade Canadian Field Artillery North Russia Expeditionary Force 21 Aug 1918, proceeded to Northern Russia 20 Sep 1918, arrived Archangel 1 Oct 1918, awarded Military Medal for bravery in the Field 11 Feb 1919, embarked for United Kingdom 11 Jun 1919, embarked for Canada 5 Jul 1919, discharged 15 Jul 1919, married Bertha Orma Jean Campbell 7 Jul 1920. Watts, James Howell; Taken on strength as a Gunner with 58th Battery 15th (Vancouver) Coast Regiment RCA NPAM on 7 Aug 1940, assigned regimental number V1010, taken on strength 15th (Vancouver) Coast Regiment RCA CASF 19 Sep 1940. ​Watts, Nicholas Joseph; Taken on strength as a Gunner in 31 Battery 15th Field Artillery Regiment RCA on 10 Apr 1986, qualified General Military Training on 9 Aug 1986, awarded Most Efficient Recruit of the Year trophy 1985/1986, qualified Artillery Communications on 16 Nov 1987, qualified Non-Trade Driver on 6 Dec 1986, qualified BTT Artillery on 25 Jan 1987, qualified Basic Artillery Technician on 14 Aug 1987, promoted Bombardier on 10 Dec 1987, promoted Second Lieutenant on 1 Sep 1988, promoted Lieutenant on 1 Sep 1989, qualified Forward Observation Officer on 9 Aug 1991, promoted Captain on 30 Jan 1998, promoted Major 23 May 2012, operationally deployed on OP PROTEUS Jan to Jul 2017. Waycott, Peter William Thomas; Taken on strength as a Gunner in 15th Field Artillery Regiment RCA on 3 Jul 1978, qualified General Military Training on 27 Aug 1978, transferred to Royal Westminster Regiment on 15 Apr 1979. Wayland, Sean Charles; Taken on strength 15th Field Artillery Regiment RCA on 9 Jul 1979, released on 3 Sep 1979. Weaver, Floyd Earl; Taken on strength in 15th Coast Regiment RCA on 5 Dec 1946, promoted Sergeant on 19 Dec 1946 to 1948, struck off strength on 13 Oct 1948. Weaver, Robert Bruce; Taken on strength as a Gunner in 15th Field Artillery Regiment RCA on 21 May 1981, released on 1 Nov 1981. 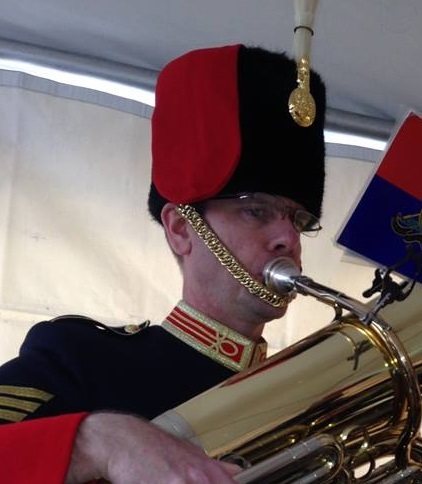 Weaver, Scott B; Taken on strength as a Musician in 15th Field Artillery Regiment RCA, Sergeant in the Regimental Band from 2014 to 2017. Webb, John Leslie David; Taken on strength as a Gunner with 58th Battery 15th (Vancouver) Coast Regiment RCA NPAM on 7 Aug 1940, assigned regimental number V1011, assigned new regimental number K416613. Webb, Ralph H; Listed as Sergeant on Warrant Officers' and Sergeants' Mess Gong. Webber, Willie; Taken on strength 58th Battery 15th (Vancouver) Coast Regiment RCA during World War II. Webster; Gunner in "C" Sub Section 68 Battery Canadian Field Artillery North Russia Expeditionary Force in April 1919. ​Webster, James Ron; Second Lieutenant in 102nd Coast Regiment RCA in 1954, taken on strength on transfer 15th Field Regiment RCA on 25 Oct 1954, promoted Captain on 3 Sep 1957, appointed Honorary Lieutenant-Colonel from 1988 to 1992, appointed Honorary Colonel from 1992 to 1995, deceased 28 December 2015. Webster, Troy Stanley; Taken on strength as a Gunner in 15th Field Artillery Regiment RCA on transfer from Regular Force 3 Jul 1991, qualified General Military Training , qualified QL1 & 3 AD Artillery, qualified FMC Driver Wheeled, qualified Air Defence Driver Track, qualified Basic Blowpipe Operator, released on 1 Dec 1992. Weeks, George Campbell; Taken on strength 31 Battery 15th (Vancouver) Coast Brigade RCA NPAM 30 Jul 1940, assigned regimental number V9499, assigned new regimental number K415599, to be Acting Lance Bombardier 15 Nov 1940. 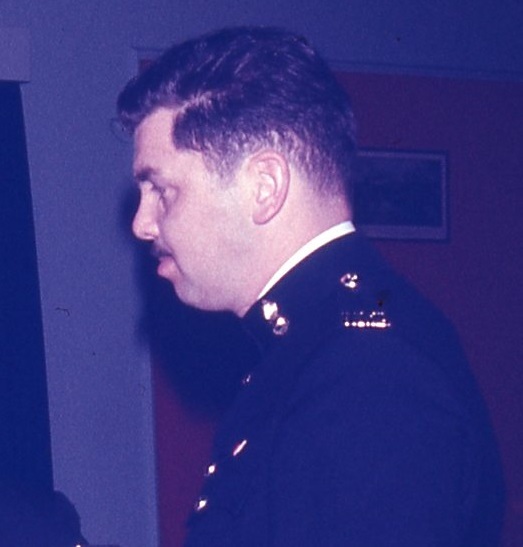 Weibe, Rollie; Sergeant from 1964 to 1966. Weiers, Guy Andrew; Taken on strength as a Gunner in 15th Field Artillery Regiment RCA on 13 Jun 1987, qualified General Military Training on 13 Aug 1987, qualified TQ1 Artillery on 11 Feb 1988, released on 19 Oct 1992. 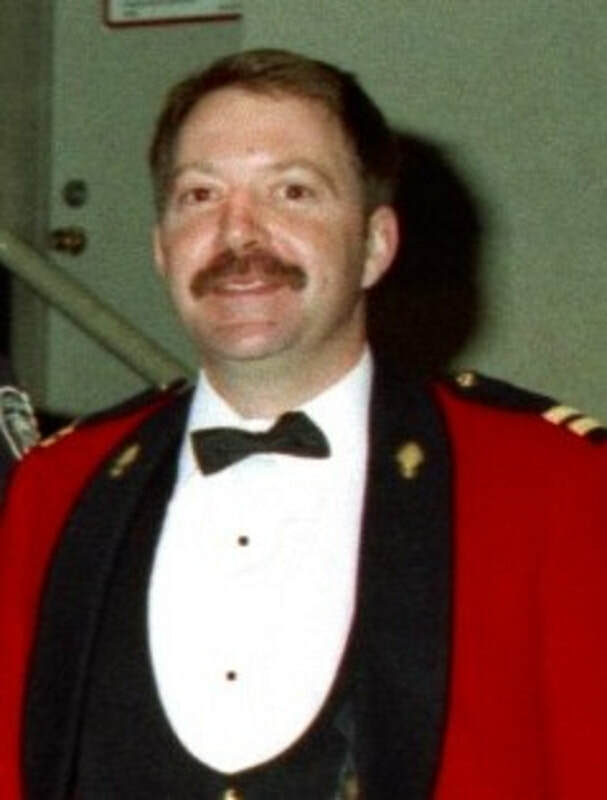 Weir, David Michael; Taken on strength as a Musician in 15th Field Artillery Regiment RCA on 21 Oct 1987, qualified General Military Training on 18 Jun 1988, qualified QL3 Musician on 15 Aug 1988, qualified TQ2 Musician on 21 Oct 1988, promoted Bombardier on 21 Oct 1988, qualified QL6A Musician on 28 Aug 1989, released 29 Jun 1995. Weiers, Guy A; Gunner in 31 Battery 15th Field Artillery Regiment RCA from 1990 to 1992. Weisbrod, TA; Gunner in 31 Battery in 1976, a Bombardier in 68 Battery in 1978. Weiss, Ivan; Lieutenant in 15th Field Artillery Regiment RCA in 1966/1967. Welch, Kassandra; Taken on strength in 15th Field Artillery Regiment RCA, Private in 2017. Weld, Charles Beecher; 68th Battery Canadian Field Artillery Gunner April 1917, England May 1917, 11th Battery Canadian Garrison Artillery June 1917, France Oct 1917, 6th Canadian Siege Battery Oct 1917, Gassed Lievin May 28 1918, 1st Canadian Siege Battery April 1919, Canada and discharged May, 1919. Weller, CT; Bombardier in 2014. Wells, RM; Gunner in 31 Battery in 1969. Wenn, William George Thomas; Attested Canadian Overseas Expeditionary Force 18 Aug 1915, assigned regimental number 300340, taken on strength 1st Battery 25 Oct 1915, transferred to 4th Brigade 9 Nov 1915, drafted to France Nov 1915, posted to 2nd Divisional Ammunition Column 22 May 1916, hospitalized wounded 21 Apr 1917, attached to 2 CCD 29 Aug 1918, taken on strength 2nd Brigade Canadian Reserve Artillery 19 Oct 1917, appointed Acting Sergeant without pay 9 Apr 1918, taken on strength 68th Battery 16th Brigade Canadian Field Artillery 21 Aug 1918, reverts to Gunner 10 Sep 1918, appointed Acting Bombardier with pay 10 Sep 1918, proceeded overseas 20 Sep 1918, disembarked Archangel 1 Oct 1918, reverts to Gunner upon request 14 Apr 1919, embarked at Archangel 11 Jun 1919, to Canada 18 Jul 1919, discharged 31 Jul 1919. Wesman, Ronald Orlando; Taken on strength 15 Field Regiment RCA on 21 Oct 1954, struck off strength on release on 17 Mar 1955, taken on strength on enrolment on 2 May 1955, struck off strength on transfer to 8 Provost Company C Pro C on 25 Jan 1956. 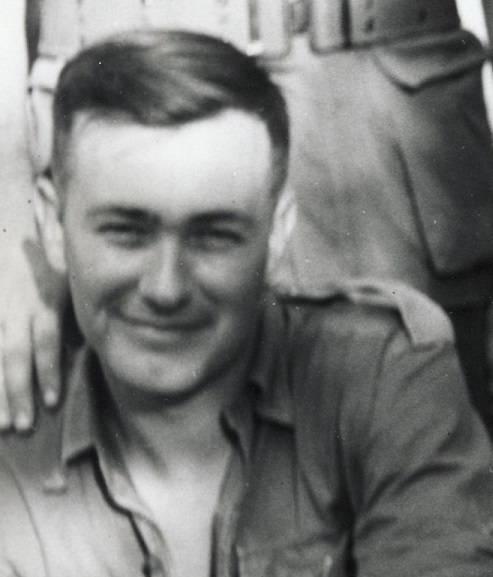 West, Donald Charles; Taken on strength in 15th Coast Regiment RCA on 10 Oct 1946, struck off strength on 31 Mar 1948. West, Kenneth Anton-Rea; Taken on strength as a Lieutenant in 15th Field Artillery Regiment RCA with previous service on 2 Dec 1988, qualified Basic Officer Training I on 29 Jul 1989, qualified Basic Officer Training II on 12 Aug 1989, released on 1 Dec 1992, deceased 15 Nov 2012. West, William Duncan; Taken on strength as a Gunner with 85th Battery 15th (Vancouver) Coast Regiment RCA NPAM on 2 Aug 1940, assigned regimental number V10449, assigned new regimental number K417566 struck off strength transferred to Canadian Officers Traing Corps 6 Oct 1940. Westaway, AA; Taken on strength as a Gunner in 15th (Vancouver) Coast Brigade RCA NPAM, assigned regimental number V9207, on Advance Party 14 Sep 1940, assigned new regimental number K415021. Wester, Nicholas Christopher Russel; Taken on strength as a Gunner in 15th Field Artillery Regiment RCA on 27 May 1997, qualified QL2 General Military Training on 22 Aug 1997, released on 22 Oct 1998. Western, Gordon Richard; Taken on strength in 68th Depot Battery 10 October 1916, Gunner in 1918, deceased 7 January 1921 after the war of related injuries. 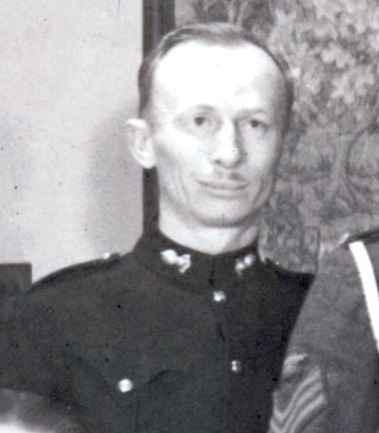 Westgate, Hugh Donald; Taken on strength on transfer from Canadian Officers Training Corps UBC Contingent as Second Lieutenant 15th Fd Regiment RCA on 2 Oct 1951, struck off strength on transfer to Supplementary Reserve RCA on 13 Oct 1954. Westhaver, Stanley Allan; Taken on strength as a Gunner in 15th Field Artillery Regiment RCA on 27 Jan 1987, qualified General Military Training on 13 Jun 1987, qualified TQ1 Artillery on 11 Feb 1988, promoted Bombardier on 27 Jan 1989, transferred to Supplementary Ready Reserve on 1 Jul 1991. 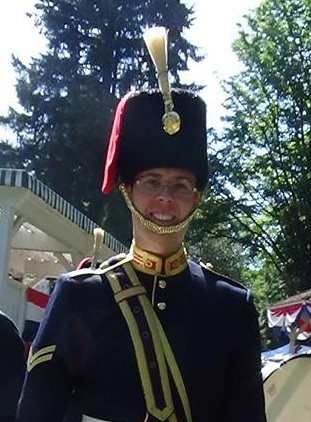 ​​Weststeijn, Simeon E; Taken on strength as a Musician in 15th Field Artillery Regiment RCA, Bombardier from 2014 to 2017, component transferred to regular Force 2018, awarded Most Efficient Member Bombardier of the Year award 2015, posted Naden Band of the Royal Canadian Navy 2018. ​Whatley, Shane Edward; ​Taken on strength as a Gunner in 15th Field Artillery Regiment RCA on 26 Jan 1984, released on 26 Jan 1985. 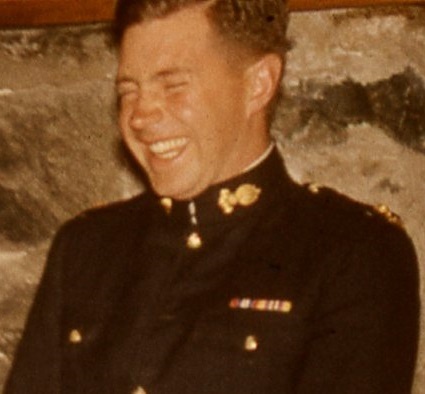 Whelan, John Hugh; Taken on strength with former service in Canadian Army (Reserve Force) in 15th Field Regiment RCA on 19 Feb 1953, appointed Lance Bombardier on 1 May 1953, struck off strength on 15 Feb 1954. Whidden, Wallace Graham; Served in 18th Field Battery Canadian Field Artillery, qualified Sergeant 11 Apr 1906, attested 28 Jan 1916, regimental #308682, married 31 Aug 1918, Sergeant in 68th Battery 16th Brigade Canadian Field Artillery North Russia Expeditionary Force, deceased 22 Jan 1966 Victoria BC. 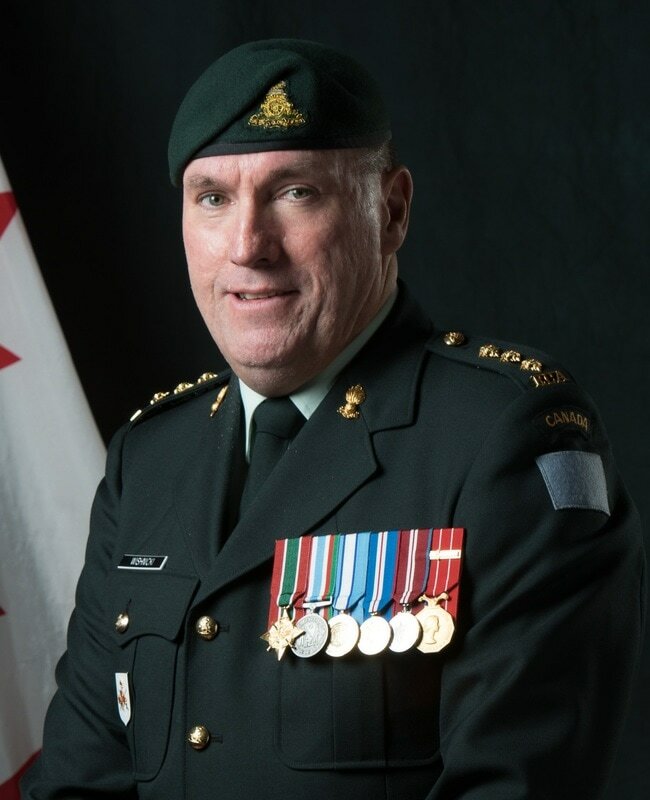 White, Andrew Ian; Taken on strength as a Gunner in 15th Field Artillery Regiment RCA on 10 Apr 1978, qualified General Military Training on 27 Aug 1978, qualified TQ1 Artillery on 26 Aug 1978, promoted Bombardier on 1 Jun 1979, released on 7 Aug 1979. White, Arnold Charles; Taken on strength as a Gunner with 85th Battery 15th (Vancouver) Coast Regiment RCA NPAM on 9 Aug 1940, assigned regimental number V10475, assigned new regimental number K417567, transferred to Canadian Officers Traing Corps University of British Columbia Contingent 30 Sep 1940. White, Darrell John; Taken on strength 15th Field Artillery Regiment RCA on 1 Mar 1977, released on 27 Oct 1977. White, JC; Taken on strength 15th Field Regiment RCA as Acting Captain on transfer from 43 Medium Anti-Aircraft Regiment RCA on 15 Dec 1955, appointed Medical Officer on 1 Dec 1955, relinquished appointment of Medical Officer on 24 Apr 1957, struck off strength on transfer to Supplementary Reserve (RCAMC) on 24 Apr 1957. 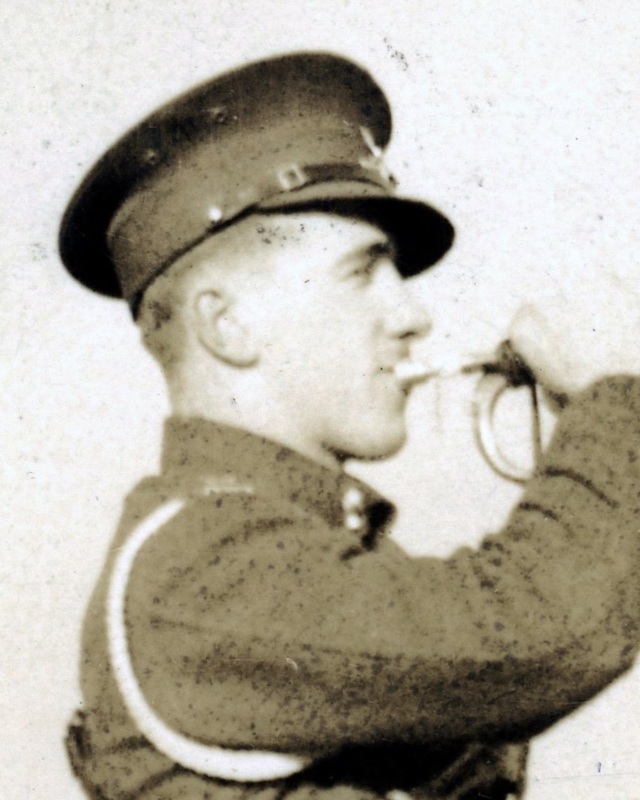 White, Joseph Henry Archer; Taken on strength as a Gunner with 58th Battery 15th (Vancouver) Coast Regiment RCA NPAM on 7 Aug 1940, assigned regimental number V1016, assigned new regimental number K416614. 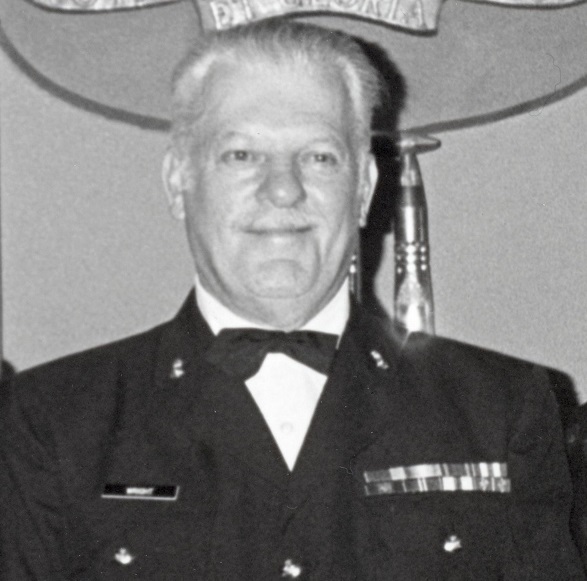 White, Michael Edward; Taken on strength as a Musician on 29 Aug 1960, transferred from 7th Toronto Regiment RCA to 15th Field Artillery Regiment RCA on 1 Jan 1976 as a Warrant Officer, released on 9 Jun 1977. White, Ralph William; Taken on strength with 15 Field Regiment RCA on 22 Jan 1948, appointed Acting Bombardier on 5 Feb 1948, appointed Acting Sergeant on 1 Mar 1948, struck off strength on 24 Nov 1949. White, Shane William; Taken on strength as a Gunner in 15th Field Artillery Regiment RCA on 24 Oct 1987, qualified General Military Training on 13 Aug 1987, qualified TQ1 Artillery on 11 Feb 1980, qualified TQ2 Artillery Technician on 16 Jul 1988. Whitehead, Frank Clayton; Two years 18th Mounted Rifles, attested into 19th Battery 5th Brigade Canadian Field Artillery Canadian Overseas Expeditionary Force 4 Dec 1914, promoted Corporal 17 Jun 1915, confirmed Sergeant 31 Jul 1915, landed Plymouth 18 Aug 1915, embarked for France 14 Jan 1916, posted to 4th Brigade Canadian Field Artillery 22 May 1916, transferred to Reserve Brigade Canadian Field Artillery with a view to obtaining commission 24 Feb 1917, promoted Temporary Lieutenant 20 Aug 1917, taken on strength 21st Battery 4th Brigade Canadian Field Artillery 10 Nov 1917, granted leave 15 Jul 1918 to 30 Jul 1918, awarded Military Cross for action 2 Sep 1918, to be Orderly Officer Canadian Artillery 15 Nov 1918, awarded Military Cross 1 Feb 1919, proceeded to England 25 Apr 1919, sailed for Canada 18 May 1919, struck off strength 3 Jun 1919, Lieutenant in 68th Battery 15th Brigade Canadian Field Artillery in 1922, married Marjorie Bradford 26 Jul 1921, Corps Reserve from 1924 to 1925, 5th Medium Battery in 1927, 58th Battery from 1940 to 1944, Captain in 1943, Acting Battery Commander Yorke Island from 23 Feb 1943 to 8 Jun 1943. Whitehead, Howard Bruce; Taken on strength 15th Field Artillery Regiment RCA on 7 Jul 1980, qualified General Military Training on 1 Nov 1980, released on 1 Nov 1981. 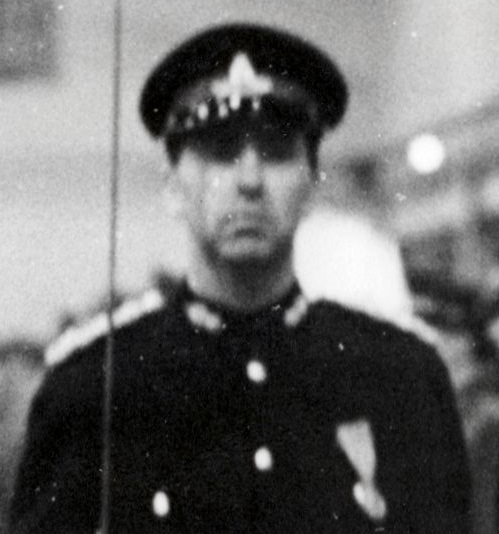 ​Whitelaw, Ian B; Captain in 1969 with the appointment of Adjutant. Whitley, DC; Private in 1969. 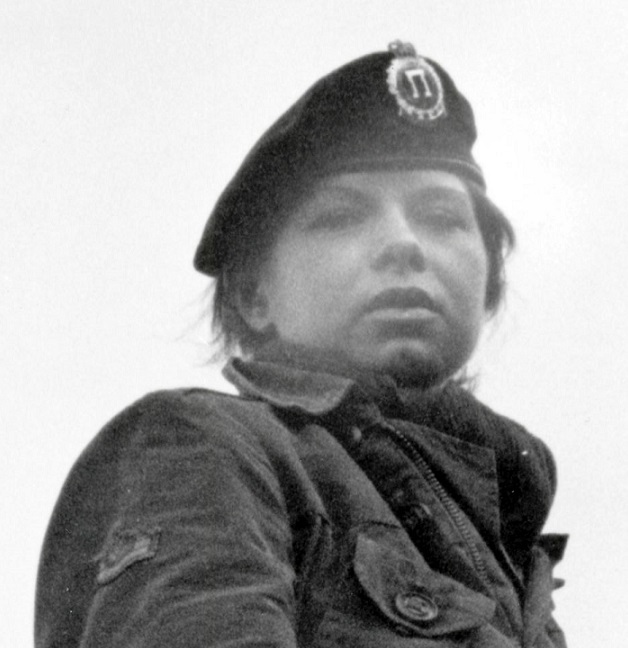 Whitley, Linda Ruth; Taken on strength 15th Field Regiment RCA on transfer from 111 Manning Depot CA(M) on 1 May 1958. Whitmore, Lyle Spencer; Taken on strength 15th Field Artillery Regiment RCA on 4 Jul 1977, released on 28 Aug 1977. Whittaker, William Lorne; Taken on strength as a Gunner with 58th Battery 15th (Vancouver) Coast Regiment RCA NPAM on 7 Aug 1940, assigned regimental number V1012, assigned new regimental number K416615. Whittles, JE; Attached FAP from Headquarters 5 Divisional Artillery 15 Field Regiment RCA as Honorary Captain RCAChC on 10 Jun 1949, ceases attachment from HQ 5 Divisional Artillery on 27 Feb 1953, attached FAP from Western Command Chaplain Unit RCAChC on 28 Feb 1953, ceases attachment FAP from Western Command Chaplain Unit RCAChC on 31 Dec 1954, attached for duty from 24 Militia Group Headquarters on 1 Jan 1955, ceases to be attached from 24 Militia Group Headquarters on 29 Feb 1956. Whyte, Carson Scott; Taken on strength 15th Field Artillery Regiment RCA on 12 Jun 1975, struck off strength to 44 Field Squadron on 30 Sep 1975, released on 2 Mar 1976, enrolled 15th Field Artillery Regiment RCA on 19 Nov 1977, released 1 Jun 1978. Whyte, Douglas Drummond; Taken on strength as a Gunner with 85th Battery 15th (Vancouver) Coast Regiment RCA NPAM on 16 Aug 1940, assigned regimental number V10419, assigned new regimental number K417568. Wichmann, John; Taken on strength 31 Battery 15th (Vancouver) Coast Brigade RCA NPAM 6 Aug 1940, assigned regimental number V9500, assigned new regimental number K415600. ​​Wickens, Kent Anthony; ​​Taken on strength as a Gunner in 15th Field Artillery Regiment RCA 25 Mar 1982, qualified General Military Training 11 Aug 1982, awarded Most Efficient Recruit of the Year trophy 1982/1983, qualified TQ1 Artilleryman 14 Oct 1982, promoted Bombardier 25 Mar 1983, qualified Artillery Communicator 8 Apr 1983, qualified Junior Non-Commissioned Officer 29 Jun 1984, appointed Officer Cadet 23 Mar 1985, promoted Lieutenant 7 Aug 1986, qualified Junior Officer Staff Course 14 Jan 1987, Operational tour with UNFICYP-1992/1993, promoted Captain 10 Aug 1993, Major from 2005 to 2011, promoted Lieutenant-Colonel and appointed Commanding Officer from 2011 to 2014, transferred to 39 Canadian Brigade Headquarters 2014, appointed Commanding Officer 39 Signal Regiment 30 May 2017. Wickett, William (Bill) Thomas; Taken on strength 43 Medium Anti-Aircraft Regiment RCA 16 Feb 1953, promoted Bombardier 1954, promoted Sergeant 1957, transfered to 15th Field Regiment RCA 1959, commissioned as Second Lieutenant 16 Nov 1960, promoted Lieutenant 1962, promoted Captain 1966, promoted Major 1 Oct 1969, promoted Lieutenant-Colonel and appointed Commanding Officer 15th Field Artillery Regiment Royal Canadian Artillery 19 Oct 1973, promoted Colonel, promoted Brigadier-General and appointed Area Command Pacific Militia Area, appointed aide de camp to Governor-General 1978 to 1979, President of Royal Canadian Artillery Association 1979 to 1980, retires as Area Commander in 1981, appointed Honorary Lieutenant-Colonel 1992, appointed Honorary Colonel 1995. ​Wickson, Gordon Conrad; Taken on strength as a Gunner with 85th Battery 15th (Vancouver) Coast Regiment RCA NPAM on 2 Aug 1940, assigned regimental number V10450, assigned new regimental number K417569. Wiens, AB; Bombardier in 1969. 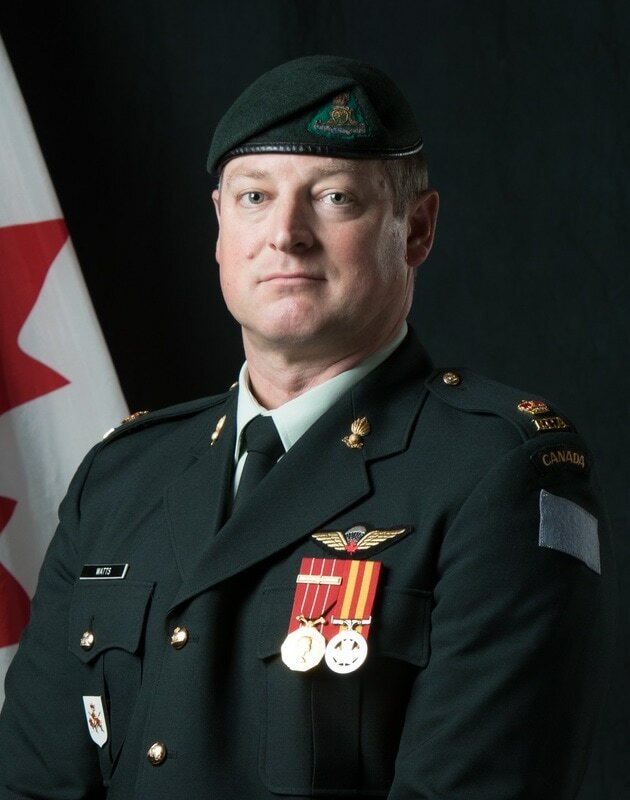 Wierenga, Adam T; Warrant Officer from 2016 to 2017, Regular Force Support Staff from 2016 to 2017. 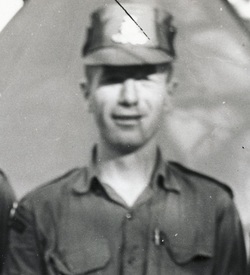 Wieser, Joseph Albert; Taken on strength 15th Field Regiment RCA on 6 Jun 1957, struck off strength on release on 25 Sep 1958. ​Wiggins, Christopher Kenneth; Taken on strength as a Musician in 15th Field Artillery Regiment RCA on 1 May 1978, qualified TQ1 Musician on 2 Sep 1979, transferred to HMCS Discovery on 15 Aug 1980. Wilburn, Paul Charles; Taken on strength as a Gunner in 15th Field Artillery Regiment RCA on 10 Nov 1994, qualified QL2 Common Recruit on 10 Nov 1994, released on 10 Apr 1996. ​Wilde, Charles Noel; Taken on strength 72nd Regiment Seaforth Highlanders of Canada, Provisional Lieutenant 22 May 1916, attended Royal School of Artillery at Esquimalt BC qualified rank of Lieutenant 27 Jul 1916, attested as a Lieutenant in 68th Overseas Depot Battery 20 Oct 1916, embarked Halifax 15 Dec 1916, disembarked Liverpool 28 Dec 1916, taken on strength Reserve Brigade Canadian Field Artillery 28 Dec 1916, transferred to Headquarters 5th Canadian Division 20 Mar 1917, to be Aide de Camp General Officer Commanding 5th Canadian Division 21 Mar 1917, temporarily assumed duties of DAA&QMG from 17 Sep 1917 to 15 Nov 1917, relinquishes appointment as Aide de Camp 28 Feb 1918, taken on strength Reserve Brigade Canadian Field Artillery 28 Feb 1918, proceeded overseas 7 Apr 1918, posted to 13th Brigade Canadian Field Artillery 7 Apr 1918, taken on strength 14th Brigade Canadian Field Artillery 11 Apr 1918, hospitalized shrapnel wound right thigh 8 Aug 1918, invalided to Whitley England 12 Aug 1918, on leave from 14 Sep 1918 to 5 Oct 1918, proceeded overseas 22 Oct 1918, posted to 13th Brigade Canadian Field Artillery 26 Oct 1918, reposted to 14th Brigade 31 Oct 1918, proceeded to England 11 May 1919, embarked to Canada 11 Jun 1919, appointed Canadian Trade Commissioner to Mexico, deceased 5 Jul 1932. Wildner, Karl; Taken on strength 15th Field Regiment RCA on 12 Nov 1957. 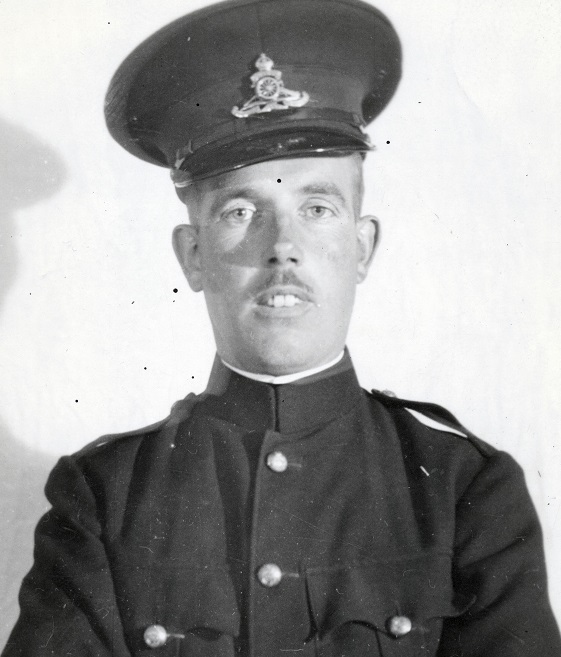 Wiles, Francis Clement; Taken on strength as a Gunner with 85th Battery 15th (Vancouver) Coast Regiment RCA NPAM on 16 Aug 1940, assigned regimental number V10452, assigned new regimental number K417570. Wiles, Norman Gordon; Taken on strength in 15th Field Regiment RCA on 21 Apr 1953, struck off strength on 15 Mar 1954. Wiles, William Garnett; Taken on strength with former service in Canadian Army Active 31 Battery 15th Fd Regiment RCA on 11 Oct 1951, struck off strength on 17 Apr 1952, taken on strength on enrolment (Former Service) on 27 Nov 1952, struck off strength on release on 16 Dec 1954. ​Wiley, David Andrew; Taken on strength as a Musician in 15th Field Artillery Regiment RCA with previous service on 14 Feb 1985, qualified General Military Training, qualified TQ2 & 3 Musician, promoted Bombardier on 25 Oct 1985, qualified TQ3 Musician on 21 Jun 1985, transferred on 18 Mar 1986. Wilfer, Kenneth Allen; Taken on strength as a Gunner in 15th Field Artillery Regiment RCA on 24 Mar 1983, released on 30 Apr 1983. Wilkes, Frederick Edmund; Taken on strength as a Gunner with 58th Battery 15th (Vancouver) Coast Regiment RCA NPAM on 31 Jul 1940, assigned regimental number V1013, to be Acting Sergeant 1 Sep 1940, assigned new regimental number K416508, struck off strength business 31 Oct 1940. ​Wilkie, Geoffrey Allan; Taken on strength as a Gunner in 15th Field Artillery Regiment RCA 2 Jul 1981, qualified General Military Training 18 Aug 1981, awarded Most Efficient Recruit of the Year trophy 1981/1982, qualified TQ1 Artillery 1 Jul 1982, qualified Driver Non-Trade 10 Jun 1982, qualified TQ2 Basic Artillery Communications 23 Jul 1982, qualified TQ2 Basic Artillery Technician 13 Aug 1982, promoted Bombardier 2 Jul 1982, qualified Junior NCO Course 30 Jun 1983, promoted Master Bombardier 2 Jul 1984, transferred to 7th Toronto Regiment RCA 20 Jan 1987. Wilkie, Susan Mary; Taken on strength 15th Field Artillery Regiment RCA on 7 Jul 1980, released on 15 Jul 1980. Wilkins, Andrew Geoffrey; Taken on strength as a Musician in 15th Field Artillery Regiment RCA on 23 May 1974, qualified General Military Training on 19 Dec 1974, qualified Musician on 1 Apr 1976, released on 1 Jun 1978. 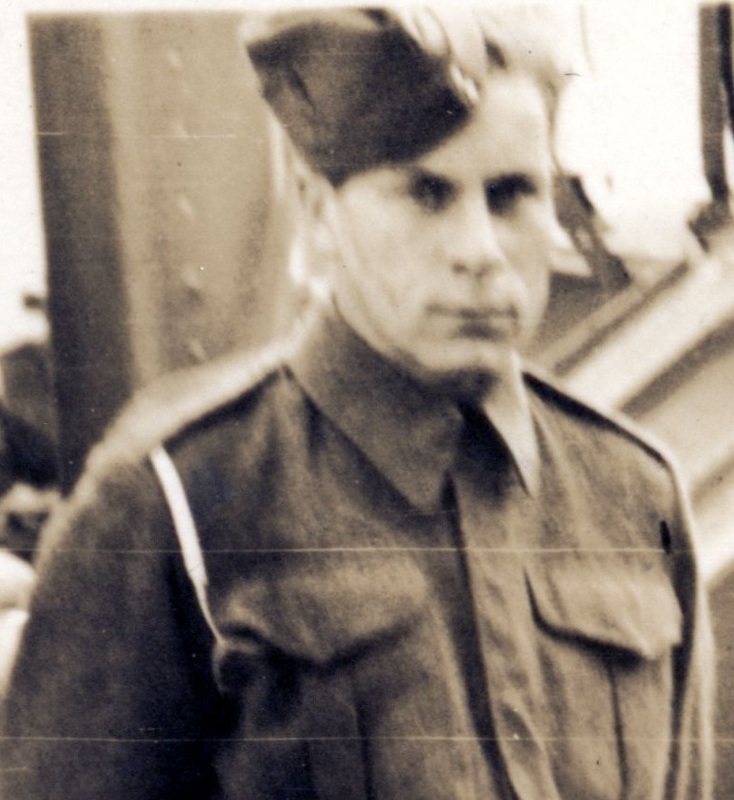 Wilkins, Claude Russell; Taken on strength 15th Field Regiment RCA with former service on 18 Apr 1955, struck off strength on release on 1 Mar 1956. Wilkins, Gary Allan; Taken on strength as a Musician in 15th Field Artillery Regiment RCA on 23 Apr 1989, qualified General Military Training on 9 Jun 1989, qualified TQ1 Musician on 28 Aug 1989, promoted Bombardier on 23 Feb 1990, qualified TQ2 Musician on 17 Jan 1990, qualified TQ3 Musician on 20 Jul 1990, released 26 Jun 1991. Wilkinson, Allan; Taken on strength Canadian Expeditionary Force on 11 Oct 1915, 5th Canadian Siege Battery Canadian Garrison Artillery, awarded Military Medal for Bravery in the Field on 26 May 1917. Wilkinson, MM; Gunner in 31 Battery in 1969. Wilks, Washington Derek; Taken on strength as a Gunner with 85th Battery 15th (Vancouver) Coast Regiment RCA NPAM on 16 Aug 1940, assigned regimental number V10445, assigned new regimental number K417571. Will, GA; Sergeant listed on the Sergeant's Gong. 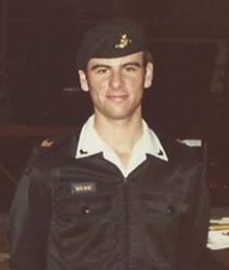 Willcox, William David Ronald Johnston; Taken on strength as a Gunner in 15th Field Artillery Regiment RCA on 30 Nov 1985, qualified General Military Training on 1 Feb 1986, released on 11 Mar 1986. ​Willett, JA; Sergeant in 1966, a Master Warrant Officer in 31 Battery in 1969. ​Williams; Lance Bombardier in 1935. ​​Williams, Corey Russell; Taken on strength as a Gunner in 68 Battery 15th Field Artillery Regiment RCA on 24 Feb ​1976, qualified General Military Training on 5 Jun 1976, qualified TQ1 Artillery on 3 Aug 1976, promoted Bombardier on 1 Mar 1977, qualified TQ2 Driver Wheeled on 31 Mar 1977, released on 2 Apr 1978. Williams, Darren Benedict; Taken on strength as a Gunner in 68 Battery 15th Field Artillery Regiment RCA on 1 Mar 1977, qualified General Military Training on 18 Jun 1977, qualified TQ1 Artillery on 25 Aug 1977, promoted Bombardier on 1 Mar 1978, released 1 Nov 1978. Williams, George Hobart McColl; 68th Field Battery Canadian Field Artillery Gunner Dec 1916, Bombardier, Accident Kingston Ontario May 1917, Discharged Jan 1918. Williams, Mark Owen; Taken on strength as a Gunner in 15th Field Artillery Regiment RCA on 7 Jul 1980, qualified General Military Training on 1 Nov 1980, qualified TQ2 Basic Communications on 14 Aug 1981, qualified TQ1 Artillery on 6 Sep 1981, promoted Bombardier on 7 Jul 1981, released on 3 Oct 2003. Williams, NF; Gunner in 158 Battery in 1969. Williams, Wendy Leigh May; Taken on strength 15th Field Artillery Regiment RCA on 1 Jul 1974, qualified General Military Training on 23 Aug 1974, released on 18 Mar 1976. Williamson, Russell Leonard; Taken on strength as a Gunner in 15th Field Artillery Regiment RCA on 25 Jun 1974, qualified General Military Training on 23 Aug 1974, released on 18 Mar 1976. Willing, Carl Norman; Taken on strength as an Administrative Clerk in 12 Service Battalion on 1 Jul 1981, qualified General Military Training on 26 Aug 1981, transferred to 15th Field Artillery Regiment RCA on 25 Jan 1983, qualified TQ1 Cook on 17 Jan 1986, change occupation to Cook on 17 Jan 1986, promoted Corporal on 17 Jan 1986, transferred to 12 Service Battalion on 15 May 1990. ​Willing (Amos), Darlene Anne; Taken on strength as an Administrative Clerk Corporal with previous service on 26 Apr 1975, promoted Master Corporal on 1 Dec 1976, promoted Sergeant on 1 Jan 1977, promoted Warrant Officer on 1 Oct 1979, transferred 1 Jun 1981. ​Willoughby, Harry W; Gunner in 85th Heavy Battery 15th (Vancouver) Coast Brigade RCA on Yorke Island in1939, Orderly Trumpeter in 1939, transferred to The Seaforth Highlanders of Canada, transferred 15th Field Regiment RCA on 21 Sep 1948, appointed Bombardier on 21 Sep 1950, qualified as Trumpeter Group 1 on 8 Apr 1952, appointed Sergeant on 1 Nov 1952, reverts to Gunner on 1 Mar 1956, struck off strength on transfer to 24 Medical Company RCAMC on 31 Mar 1956. Wilson, AL; Served with 32nd Battery 8th Brigade Canadian Field Artillery, Captain in the Corps Reserve for 15th Brigade Canadian Field Artillery from 1922 to 1924, Major 1943, awarded Efficiency Decoration 1943. Wilson, Claude Melnot; Taken on strength 68th Depot Battery 15th September 1916, transferred to Royal Flying Corps 4 Aug 1917, assigned 29th Squadron Royal Flying Corps 4 May 1918, Lieutenant in 1918, deceased 14 October 1918, buried Dadizele New British Cemetery, Belgium. Wilson, Earl James; Taken on strength 15th Field Regiment RCA on 18 Apr 1955, struck off strength on release on 15 Oct 1956. ​Wilson, John Robertson; Taken on strength as a Gunner with 85th Battery 15th (Vancouver) Coast Brigade RCA on 4 September 1939, deceased from gunshot wound 15 July 1940, buried in Mountain View Cemetery. Wilson, M; Gunner in 31 Battery in 1969. Wilson, Margaret Duthie; ​Taken on strength from No. 111 Manning Depot (Reserve Force) 15th Fd Regiment RCA on 2 Jun 1953, appointed Lance Corporal on 1 Jan 1955, relinquished appointment of Lance Corporal on 1 Oct 1956, struck off strength on release on 1 Oct 1956. 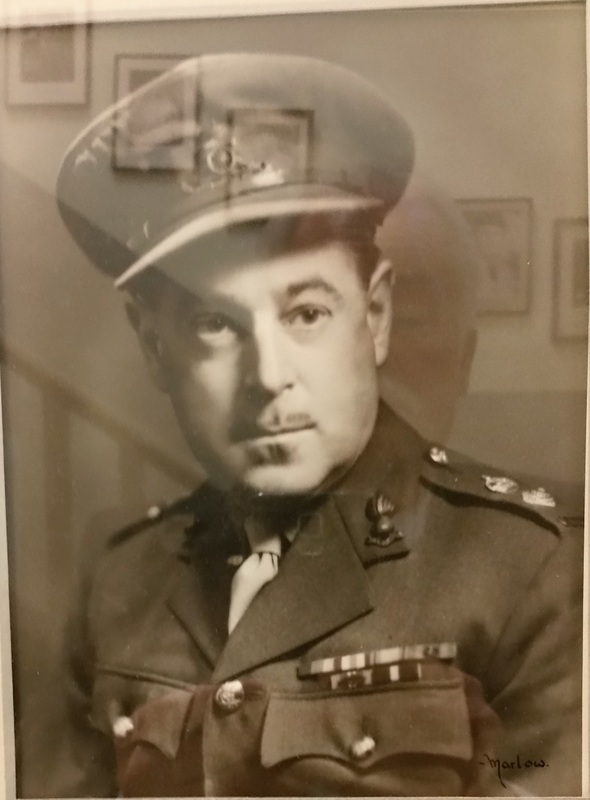 Wilson, PR; Major in 15th (Coast) Brigade RCA CA in 1942. Wilson, Peter Sager; Taken on strength as a Musician in 15th Field Artillery Regiment RCA on 10 Nov 1976, qualified General Military Training on 13 Apr 1977, qualified TQ1 Musician on 23 Apr 1977, promoted Bombardier on 1 Jun 1978, qualified TQ2 Musician on 1 Mar 1982, promoted Master Bombardier on 1 Mar 1982, released on 9 Jun 1983. Wilson, Raymond A; Taken on strength as a Gunner on 1 Apr 1968, promoted Sergeant on 1 Oct 1971, transferred to Supplementary List on 6 Apr 1976, transferred from Supplementary List on 6 Nov 1980, transferred to Supplementary List on 11 Feb 1981. 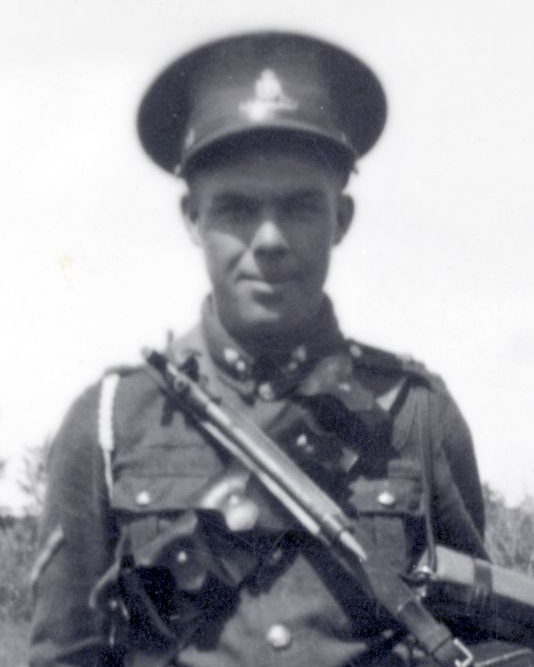 Wilson, Robert James; Taken on strength as a Gunner in 31st Battery 15th (Vancouver) Coast Brigade RCA NPAM, assigned regimental number V9501, on Advance Party 14 Sep 1940, appointed Cook 15 Sep 1940, assigned new regimental number K415601. ​Wilson, Robert Warrington; Taken on strength as a Gunner in 15th Field Artillery Regiment RCA on 28 Dec 1992, released on 30 Apr 1994. Wilson, Robert William Thomas; Taken on strength in 15 Field Regiment RCA on 11 Jan 1951, appointed Lance Bombardier on 1 May 1953, promoted Acting Bombardier on 1 May 1954, reverts to Gunner on 1 Nov 1955, struck off strength on release on 1 Nov 1955. Wilson, Ross; Taken on strength as a Lieutenant in 31st Heavy Battery, 15th (Vancouver) Coast Brigade RCA NPAM on 30 Jul 1940, transferred to Corps Reserve of Officers 1 Nov 1940. Wilson, Ryan Stephen; Taken on strength as a Gunner in 15th Field Artillery Regiment RCA on 28 Dec 1992, released on 15 Mar 1994. Wilson, William Peter; Taken on strength 15th Field Regiment RCA on 7 Feb 1957. Windsor, George Edward; Taken on strength Grenadier Guards of Canada, attested Canadian Overseas Expeditionary Force 21 Mar 1916, regimental #336845, 66th Overseas Battery, taken on strength 68 Battery 16th Brigade Canadian Field Artillery Northern Russia Expeditionary Force, proceeded overseas to Northern Russia, arrived Archangel Russia, awarded St. George's Medal, embarked for United Kingdom, embarked for Canada, discharged. Winegard, Adam Robert; Taken on strength 11th Battery Canadian Field Artillery, attested Canadian Overseas Expeditionary Force #43799 25 Sep 1914, taken on strength 68 Battery 16th Brigade Canadian Field Artillery Northern Russia Expeditionary Force, proceeded overseas to Northern Russia, arrived Archangel Russia, awarded St. George's Cross, embarked for United Kingdom, embarked for Canada, deceased 1981. Winegard, Claude Drone; Taken on strength 9th Mississauga Horse, transferred to 16th Battery Canadian Field Artillery Guelph, attested Canadian Overseas Expeditionary Force 28 Sep 1914, taken on strength 12th Brigade Canadian Field Artillery, awarded Italian Bronze Medal for Military Valour 26 May 1917, taken on strength 68 Battery 16th Brigade Canadian Field Artillery Northern Russia Expeditionary Force, proceeded overseas to Northern Russia 20 Sep 1918, arrived Archangel Russia 1 Oct 1918, embarked for United Kingdom 11 Jun 1919, embarked for Canada 5 July 1919, awarded Distinguished Conduct Medal 15 Jul 1919, deceased 16 Jan 1986, buried Bear Ridge Cemetery New York USA. Wing, Bradley Stuart; Taken on strength as a Musician in 15th Field Artillery Regiment RCA on 1 Dec 1984, qualified General Military Training on 1 Oct 1985, qualified TQ1 Musician on 2 Aug 1985, promoted Bombardier on 1 Dec 1985, qualified TQ2 Musician on 31 Aug 1986, released on 10 Apr 1991. Winram, Philip Stuart; Taken on strength as a Gunner in 15th Field Artillery Regiment RCA on 7 Jun 1984, qualified General Military Training on 10 Aug 1984, released on 15 Sep 1984. Winslow, John Douglas; Taken on strength 10th Battery Canadian Field Artillery, attested 65th Overseas Battery Canadian Field Artillery 30 Sep 1916, Lieutenant in 68th Battery 16th Brigade, Canadian Field Artillery North Russia Expeditionary Force in 1918, promoted Major, Battery Commander 89th Field Battery Woodstock ON in 1942, deceased 5 Oct 1958, interred Anglican Cemetery Woodstock NB, Woodstock Armoury became the Major J.D.Winslow, MC Armoury in 1992. Winter, Ernest Rudolf; Taken on strength 15th Field Artillery Regiment RCA on 4 Jul 1977, released on 19 Jan 1978. ​Winter, Heinz Joseph; Taken on strength on 26 Oct 1961, Warrant Officer Class II in 1969, reverted to Warrant Officer on 31 Aug 1970, completed Warrant Officers Duties course on 16 Jan 1972, promoted Master Warrant Officer on 1 Jan 1973, released on 14 Jan 1975, deceased 18 July 1989. 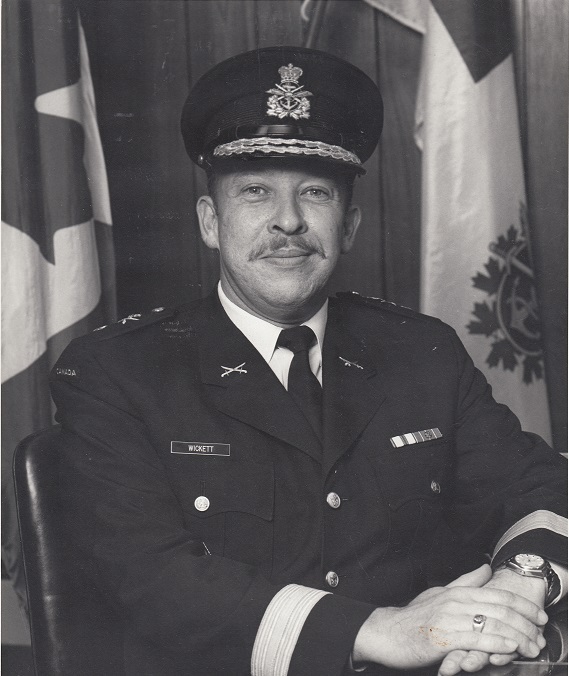 Winters, Douglas R; Lieutenant at Canadian Forces Headquarters as at 1971, 3rd Regiment Royal Canadian Horse Artillery as at 1972 to 1974, Captain as at 1974, 128 Air Defence Battery as at 31 Dec 1975 to 31 Dec 1977, Force Mobile Command Headquarters as at 31 Dec 1978 to 31 Dec 1979, Regular support Staff officer 49th Field Artillery Regiment Royal Canadian Artillery as at 31 Dec 1980 to 31 Dec 1981, Regular Support Staff Officer 1986-1989. Wise, Ari M; Private in the Regimental Band in 1990, Promoted to Sergeant. ​Wishnicki, Robert Guy; Taken on strength as a Gunner in 15th Field Artillery Regiment RCA 2 Apr 1987, qualified General Military Training 13 Jun 1987, qualified TQ1 Casualty Aide 31 Jul 1988, qualified TQ1 Artillery 11 Feb 1988, promoted Bombardier 2 Apr 1989, qualified Combat Leaders Course 8 Mar 1991, promoted Master Bombardier 9 May 1991, qualified QL4 Artillery Communications 7 May 1992, operational tour with UNFICYP 31 Jul 1992 to 16 Mar 1992, qualified QL4 Observation Post Technician 8 Mar 1993, qualified Artilleryman QL6A 23 Apr 1993, promoted Sergeant 28 Oct 1993, Qualified Senior Leaders Course 3 Nov 1995, qualified Machine Gun course 7 Jul 1995, qualified Artillery QL6B Phase I, II & III 8 Aug 1997, promoted Warrant Officer 13 Sep 1997, promoted Master Warrant Officer 2 Mar 2003, promoted Chief Warrant Officer and appointed Regimental Sergeant Major from 2004 to 2009, appointed Brigade Sergeant Major from 2010 to 2013, commissioned from the Ranks as Captain in 2013, Operational Tour Afghanistan OP ATTENTION in 2013. Withrow, GD; Member of 15th Field Regiment RCA CA(M) Military Band on 15 Oct 1959, struck off strength on transfer to 6 Field Squadron RCE CA(M) on 15 Oct 1959. Wnuk, Christopher Victor; Taken on strength as a Gunner in 15th Field Artillery Regiment RCA on 17 Jan 1995, qualified QL2 General Military Training on 3 Aug 1987, qualified QL3 Artillery on 10 Nov 1995, released on 2 May 1998. Woloski, BJ; Gunner in 1969, Bombardier in 1970. 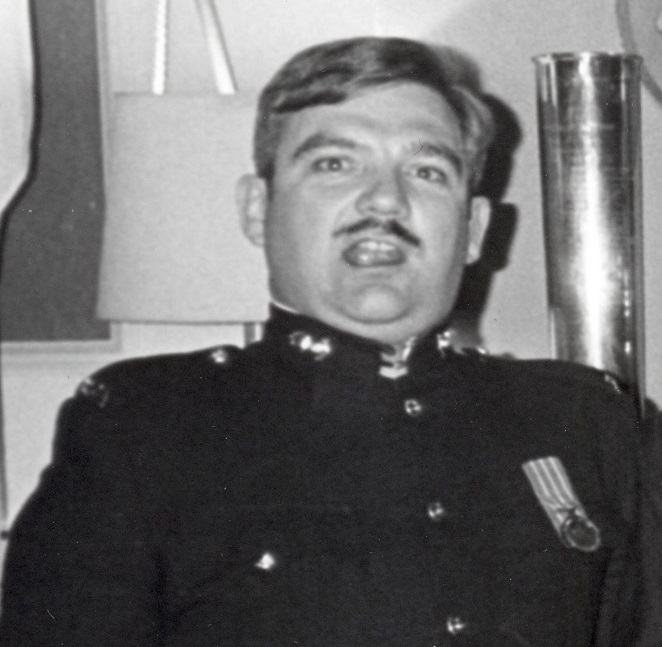 ​Woloski, Gary Stephan; Taken on strength on 21 Jan 1967, Officer Cadet in 1969; promoted Lieutenant on 1 Feb 1970, promoted Captain on 1 May 1973, Component Transferred to Regular Force as Lieutenant in 1976, promoted Captain 1980, promoted Major in 1987. ​Wong, Andy Sek Wah; ​Taken on strength as a Gunner in 15th Field Artillery Regiment RCA on 12 Jun 1975, released on 31 Aug 1975. ​Wong, BC; Gunner in 68 Battery in ​1976, Bombardier in 1977. Wong, Brad M; Taken on strength in 15th Field Artillery Regiment RCA, Private in 2017. Wong, David Yee Ming; Taken on strength as a Gunner in 15th Field Artillery Regiment RCA on 11 Jan 1996, released on 29 Feb 1996. 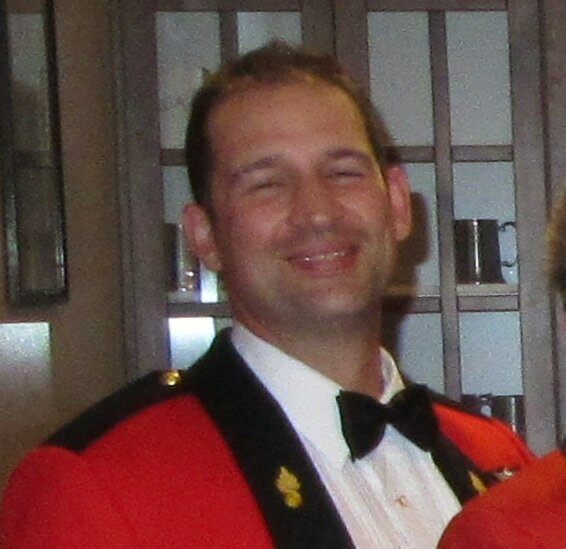 Wong, Eric H; Taken on strength as a Musician in 15th Field Artillery Regiment RCA, promoted Bombardier, Master Bombardier 2014, promoted Sergeant, promoted Warrant Officer 8 Sep 2018. 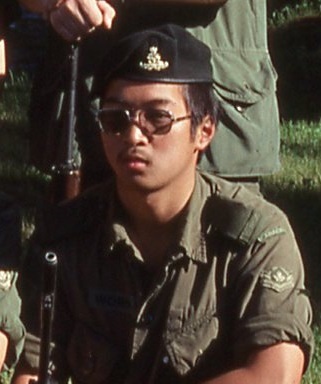 Wong, Franky W; ​Taken on strength as a Gunner in 15th Field Artillery Regiment RCA on 12 Jun 1975, released on 10 Jul 1975. Wong, Hong Yew; Taken on strength as a Gunner in 15th Field Artillery Regiment RCA on 4 Jul 1977, released on 8 Feb 1978. Wong, Howard Derrick; Taken on strength as a Gunner in 15th Field Artillery Regiment RCA on 16 Aug 1982, released on 15 Mar 1983. Wong, Jayson CK; Taken on strength as a Gunner in 15th Field Artillery Regiment RCA, Gunner in 2007, promoted Bombardier, awarded Most Efficient Bombardier of the Year 2011, promoted Master Bombardier Nov 2011, Sergeant from 2015 to 2017. ​Wong, John Siu Kwan; ​Taken on strength as a Gunner in 15th Field Artillery Regiment RCA on 11 Jun 1988, qualified General Military Training on 27 Aug 1988, released on 28 Sep 1988. 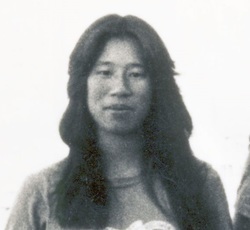 ​​Wong, Julie; Taken on strength as an Administrative Clerk in 15th Field Artillery Regiment RCA on 3 Mar 1977, qualified General Military Training on 18 Jul 1977, qualified TQ1 Administrative Clerk on 11 Mar 1978, promoted Corporal on 1 Apr 1978, qualified Non-Trade Driver on 27 Aug 1978, qualified Casualty Aide TQ1,2,3 and 4 on 1 Sep 1980, released on 26 Nov 1981. 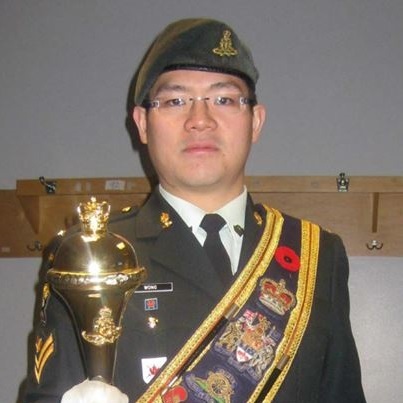 Wong, Michael W; Taken on strength as a Gunner in 15th Field Artillery Regiment RCA, awarded Most Efficient Recruit of the Year trophy 2007, Private in 2007. ​Wong, Sik Leung (Alex); Taken on strength as a Gunner in 15th Field Artillery Regiment RCA on 12 Jun 1975, released on 31 Aug 1975. 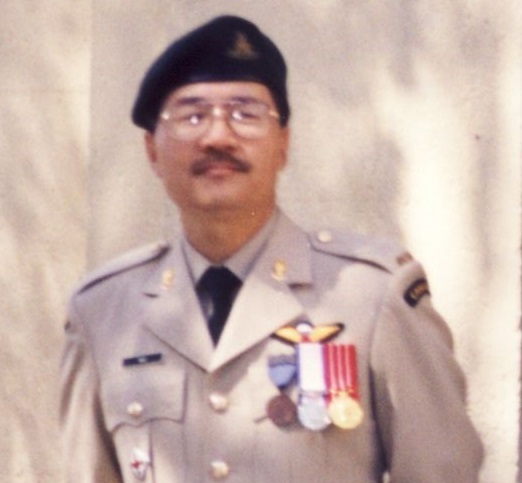 Wong, Thomas Oliver; Taken on strength as a Gunner in 15th Field Artillery Regiment RCA on 2 Jul 1984, qualified General Military Training on 10 Aug 1984, released on 30 Jan 1986. Wood, David Stanley; Taken on strength as a Musician in 15th Field Artillery Regiment RCA on 27 Jun 1974. Wood, Eric Ashforth; Taken on strength as a Gunner with 58th Battery 15th (Vancouver) Coast Regiment RCA NPAM on 10 Jul 1940, assigned regimental number V1014, to be Acting Sergeant 1 Sep 1940, assigned new regimental number K416506. Wood, Ernest Allen; Taken on strength 15th (Vancouver) Coast Brigade RCA NPAM, Acting Sergeant Aug 1940, Sergeant in 58th Battery in 1941, attended Chemical Warfare course in 1941, taken on strength from General List 15 Coast Regiment RCA on 11 Oct 1946 as T/2/Lt (Capt RAO), Captain in 158 Battery in 1948, struck off strength on transfer to Western Command Personnel Selection on 13 Mar 1950, attached FAP from Western Command Personnel Selection Unit on 14 Mar 1950, ceased attachment on 26 Feb 1952. ​Wood, George Robert; Taken on strength as a Gunner 14 Jan 1967, qualified Recruit (M) Course 5 Aug 1967, qualified GRD Militiaman Course 18 Aug 1967, qualified Block 1 Militia Artilleryman Group 1 course 26 Nov 1967, qualified Block 2 Militia Artilleryman 31 Dec 1967, qualified Junior NCO Course 31 Mar 1968, promoted Acting Bombardier 1 Nov 1968, promoted Bombardier 5 Dec 1968, qualified Artillery Technician (M) 23 Aug 1969, qualified Senior NCO (M) 18 Jul 1969, promoted Sergeant 5 Dec 1969, participated EX REFORGER in 1971, completed Warrant Officers Course 16 Jan 1972, promoted Warrant Officer 1 Feb 1972, struck off strength 23 Oct 1972, re-enroled as Warrant Officer in 15th Field Artillery Regiment RCA 19 Apr 1973, promoted Master Warrant Officer 1 Apr 1975, transferred to Supplementary List 8 Sep 1983, 32 year member of Vancouver City Police Department, deceased 5 April 2014. Wood, Henry Alexander Redmond; Attested Canadian Overseas Expeditionary Force 19 May 1917, taken on strength 16th Brigade Canadian Field Artillery, proceeded overseas to Northern Russia, arrived Archangel Russia, awarded St George's Medal, embarked for United Kingdom, embarked for Canada, discharged, deceased 1924, interred San Gabriel Cemetery Los Angeles County CA USA. ​Woodford, Garnet Richard; Taken on strength as a Gunner in 15th Field Artillery Regiment RCA on 7 Mar 1992, qualified QL2 General Military Training on 29 May 1992, qualified QL3 Artilleryman on 14 Aug 1992, operational tour with United Nations Protection Force from 5 Jan 1993 to 26 Nov 1993, qualified LFC Driver Wheeled on 10 Jun 1994, promoted Bombardier on 3 Nov 1994, released on 24 Oct 1996. Woodhouse, Fred; Promoted Sergeant in 31 Battery 15th Coast Regiment RCA on 1 Apr 1946, appointed Battery Sergeant Major 31 Battery on 10 Oct 1946, Warrant Officer Class II in 1948, struck off strength on 24 Jun 1948. ​Woodley, James Walter Married Mary Louise Chamberlin 28 Aug 1900, member of 18th Field Ambulance Canadian Army Medical Corps, taken on strength 13th Overseas Field Ambulance as a Captain 6 Jun 1916, left Canada 1 Jul 1916, proceeded overseas to France 12 Aug 1916, temporarily attached to 102nd Battalion as Medical Officer 8 Feb 1917, rejoined unit 12 Mar 1917, granted leave of absence to England 27 Jun 1917,rejoined unit 8 Jul 1917, temporarily attached to 3rd Brigade as Medical Officer 15 Jul 1917, returned to 13 Canadian Field Ambulance 18 Aug 1917, awarded Military Cross 18 Oct 1917, admitted 12 Canadian Field Hospital 26 Dec 1917, discharged 26 Feb 1918, returned to Canada for duty 13 May 1918, assumed duties with Board of Pension Commissions 30 Sep 1918, Major from 1924 to 1927, Medical Officer for 15th Brigade Canadian Field Artillery from 1922 to 1927, deceased 28 April 1929, buried Ocean View Burial Park Burnaby BC . Woods, Douglas Martin; Taken on strength 15th Field Regiment RCA on enrolment on 3 Apr 1956, struck off strength on release on 15 Oct 1956. Woods, Frank Robert; Taken on strength 15th Field Regiment RCA on 25 Sep 1958. Woods, Mervin Douglas; Taken on strength 15 Field Regiment RCA on 1 Sep 1954 formerly Flight Officer Royal Canadian Air Force), struck off strength on release on 7 Aug 1956. 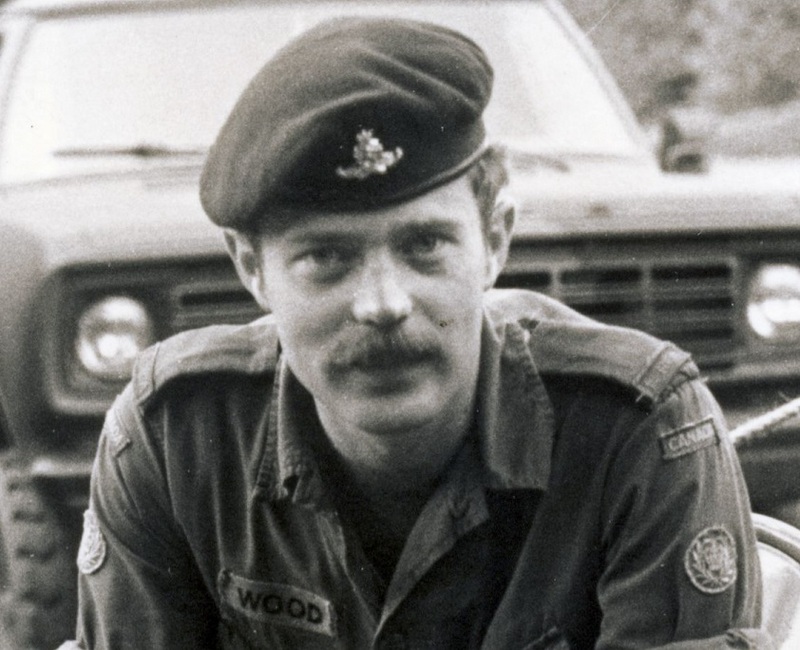 Woods, Paul Douglas; Taken on strength as a Gunner in 15th Field Artillery Regiment RCA on 2 May 1985, released on 12 Aug 1986. Woods, Thomas Dean George; Taken on strength 15 Field Regiment RCA on 23 Apr 1954, promoted substantive Corporal on 24 Apr 1954, promoted substantive Sergeant on 27 May 1954, struck off strength on release on 29 Oct 1956. ​Woodward, Lorne TP; Signals Sergeant in 85 Heavy Battery 15th Field Brigade CFA in August 1935, Battery Quartermaster Sergeant at Yorke Island on Aug 1939. Woodward, William Culham; Served with the First Canadian Heavy Artillery in World War One, Occupation forces (1916-18), Lieutenant in 5th Siege Battery 15th Brigade Canadian Field Artillery 1922, Corps Reserve from 1924 to 1925, appointed Honorary Colonel 1933, served without pay as executive assistant to munitions and supply minister C.D. 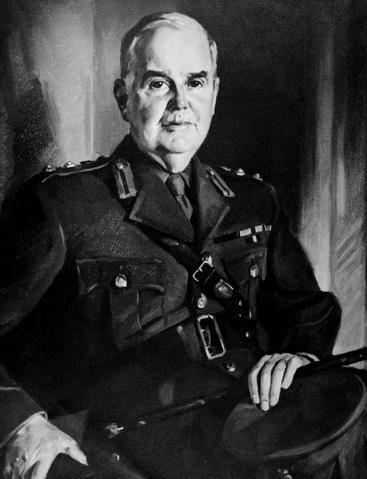 Howe during WWII, appointed Lieutenant Governor of British Columbia from 1941 to 1946, named Colonel at Large of the Militia in 1956 a rank created for him by defense minister Ralph Campney, charter member of the Board of the Bank of Canada from Mar 1935, President of Vancouver’s Board of Trade, life governor of the General Hospital, founder and patron of the Little Theatre, and president of Woodward Stores, deceased 24 Feb 1957. Worth, Francis Thomson; Taken on strength as a Gunner with 58th Battery 15th (Vancouver) Coast Regiment RCA NPAM on 31 Jul 1940, assigned regimental number V1015, assigned new regimental number K416616. Wortley, Jim Buchanan; Taken on strength in 15 Field Regiment RCA on 15 Feb 1951, appointed Lance Bombardier on 21 Jun 1951, appointed Acting Bombardier on 29 Nov 1951, taken on strength on 18 Sep 1952, confirmed Bombardier on 1 Feb 1953, appointed Acting Sergeant on 1 Feb 1953, struck off strength on 25 Feb 1954, promoted substantive Sergeant on 22 Jan 1956, struck off strength on release on 15 Feb 1958, re-enrolled, instructor on Summer Militia Training Program (SMTP) course in 1962. Wortley, John Robert; Taken on strength in 15th Field Regiment RCA on 18 Sep 1952, struck off strength on 3 Jun 1954, taken on strength on 16 Sep 1954, promoted Acting Sergeant (former service qualification) on 16 Sep 1954, struck off strength on release on 31 Mar 1955. Worwick, MK; Sergeant listed on the Warrant Officers and Sergeant’s Mess gong. 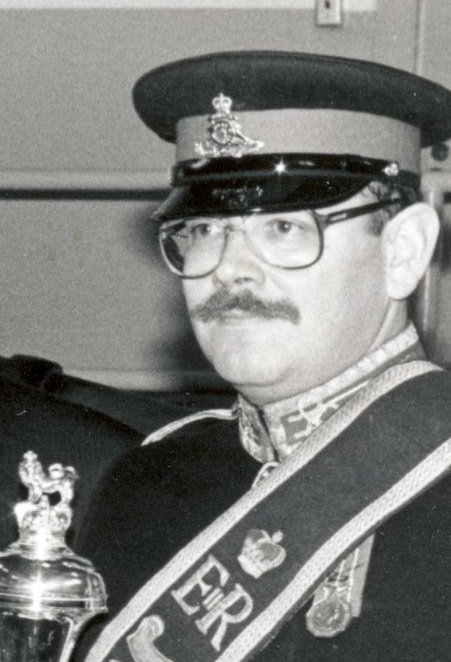 Woycheshen, Michael Bernard; Taken on strength as a Gunner in 15th Field Artillery Regiment RCA on 1 Mar 1984, qualified General Military Training on 30 Jun 1984, qualified TQ1 Artilleryman on 7 Jul 1984, promoted Bombardier on 30 May 1985, released on 16 Oct 1986. ​Wright, Gordon Edward; Taken on strength with Former Service Canadian Army in 8 Field Company Royal Canadian Dental Corps on 3 Dec 1951, appointed Acting Corporal on 25 Jan 1952, confirmed Corporal on 1 May 1952, appointed Acting Sergeant on 2 May 1952, confirmed Sergeant on 2 Jun 1952, appointed Acting Warrant Officer Class II on 15 Jun 1952, qualified Driver Wheeled on 23 Nov 1953, reverts to Sergeant on 21 Sep 1954, transferred to Royal Canadian Signals on 21 Sep 1954, transferred to 15th Field Regiment RCA on 25 Apr 1961, remustered to Military Cook on 6 Jul 1962, promoted Acting Staff Sergeant on 1 Dec 1962, promoted Staff Sergeant on 1 Aug 1963, promoted Acting Warrant Officer Class II on 1 Sep 1963, promoted substantive Warrant Officer Class II on 1 Sep 1964, reverted to Sergeant, promoted Acting Warrant Officer on 1 Mar 1980, released 5 Sep 1982. ​Wright, John Charles Hector; Taken on strength with the Lorne Scots, qualified Recruit course 1 Feb 1965, qualified Driver Motor Transport 19 May 1966, qualified Militia Bandsman Group 1 (Cornet & Trumpet) 6 Sep 1966, qualified Militia Bandsman Group 2 (Cornet) 24 Jan 1967, promoted Corporal 1 Jan 1969, transferred to 1 Hussars 15 Sep 1971, transferred to Lorne Scots 1 Feb 1972, appointed Second Lieutenant 13 Apr 1972, released 21 Jan 1975, re-enrol as a Musician 11 Jan 1975, qualified Artillery R021 11 Jan 1975, promoted Bombardier 22 Jan 1975, transferred to 15th Field Artillery Regiment RCA 17 Dec 1975, qualified TQ2 Artillery Technician 30 Jul 1976, qualified TQ2 Artillery Driver Wheeled 23 Sep 1976, appointed Master Bombardier 1 Dec 1976, qualified TQ3 Artilleryman 23 Jan 1977, change occupation to artilleryman 1 May 1977, promoted Sergeant 1 May 1977, qualified Artillery Advanced Technician 12 Aug 1977, promoted Warrant Officer 1 May 1979, qualified Master Warrant Officer Course 12 Jul 1980, promoted Master Warrant Officer 1 Jul 1983, transferred to 744 Communications Regiment, transferred to 7th Toronto Regiment RCA. Wright, Leroy Charles; 68th Battery Canadian Field Artillery Gunner Nov 1916, England Feb 1917, France 7th Canadian Siege Battery Oct 1917, Royal Air Force Cadet June 1918, Canada and discharged March 1919. Wright, Penny Lee Joan; Taken on strength as an Administrative Clerk in 15th Field Artillery Regiment RCA on 18 Jun 1988, qualified General Military Training on 16 Jul 1988, qualified BTT Finance on 24 Aug 1990, promoted Corporal on 22 Nov 1990, qualified QL4 Finance on 25 Jul 1992, awarded Most Efficient Corporal of the Year 1993, released on 12 Jun 1996. Wright, Pete; Gunner in 85th Heavy Battery 15th (Vancouver) Coast Brigade RCA on Yorke Island. Wright, Peter Michael, Taken on strength as a Gunner in 15th Field Artillery Regiment RCA on 4 Feb 1993, released on 15 Sep 1993. Wright, Wendy; Taken on strength as an Administrative Clerk in 15th Field Artillery Regiment RCA on 1 Apr 1973, qualified General Military Training on 27 Jul 1973, qualified Administrative Clerk on 9 Aug 1974, qualified Junior Non-Commissioned Officer on 5 Jan 1975, promoted Corporal on 1 Mar 1975, promoted Master Corporal on 1 Dec 1976, transferred to Supplementary List on 12 May 1977. ​Wu, Jim Nai Him; ​Taken on strength as a Gunner in 15th Field Artillery Regiment RCA on 4 Jul 1977, released on 28 Aug 1977. 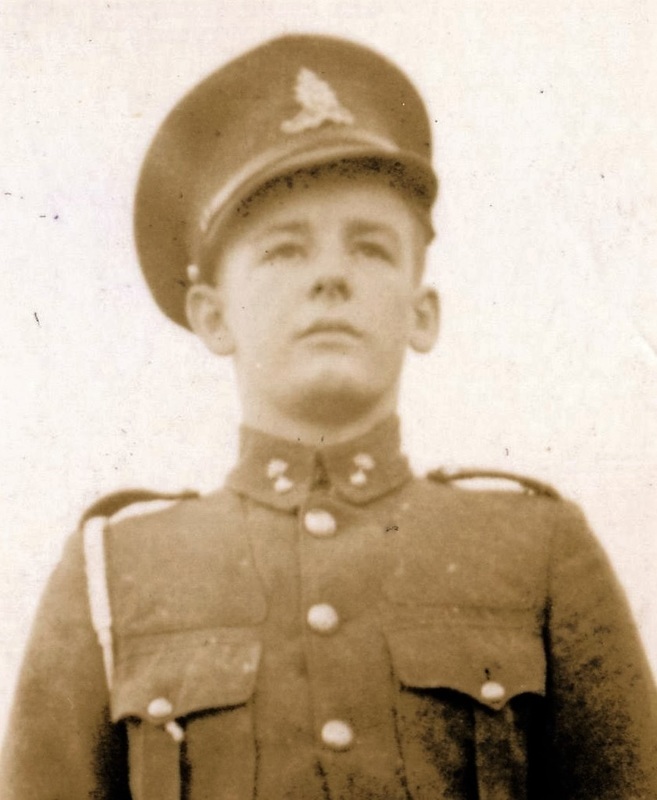 Wyatt, Arthur Edward; Taken on strength as a Gunner with 85th Battery 15th (Vancouver) Coast Regiment RCA NPAM on 9 Aug 1940, assigned regimental number V10476, assigned new regimental number K417572. ​Wyers, Donald Chesman; Taken on strength 15 Field Regiment RCA on 25 Feb 1954, struck off strength on release on 6 Dec 1954. Wynn, Harold William; 62nd Battery Canadian Field Artillery April 1916, crossed to England with the rank of Sergeant in September; 15th Brigade Ammunition Column In October, Corporal in Fourth Divisional Ammunition Column in November, appointed Sergeant In February 1917, Royal Flying Corps as a Cadet at Hastings in Feb 1918; He won his commission as 2nd Lieutenant, France as observer with the 18th Squadron, RAF, failed to return from a flight on photographic duty over the German lines and reported missing on Oct 7 1918. Wytosky, M; Taken on strength 15th Field Regiment RCA on transfer from 10 Medium Regiment RCA (M) on 16 Oct 1958.